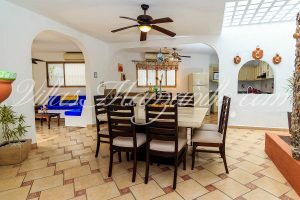 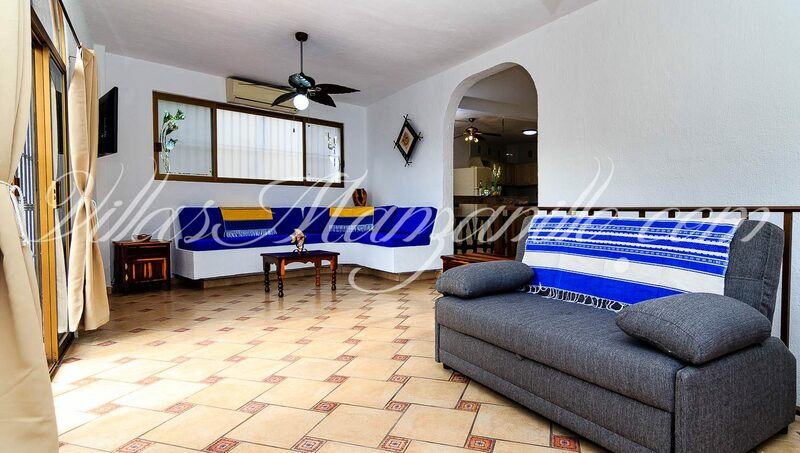 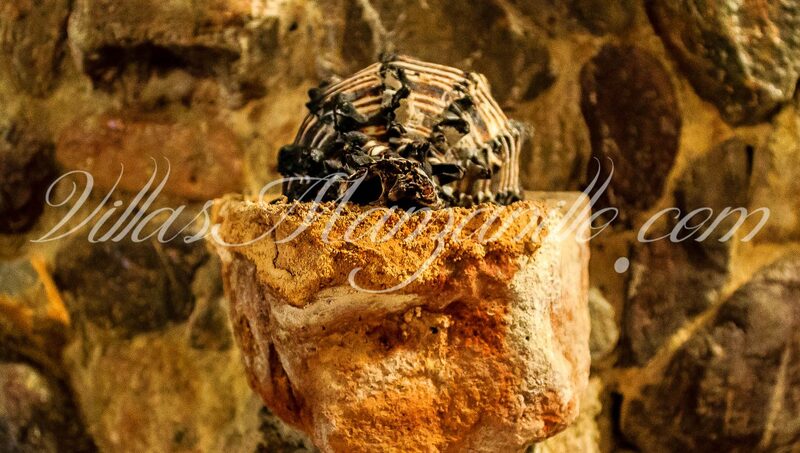 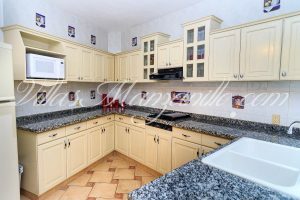 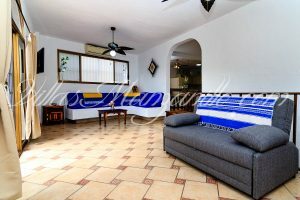 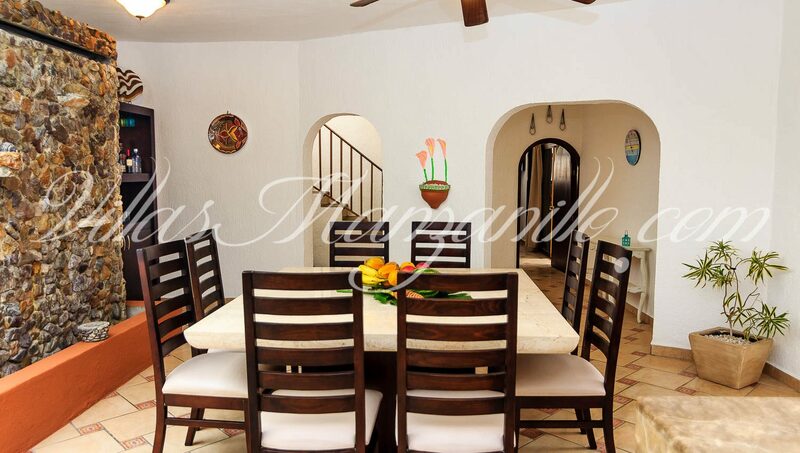 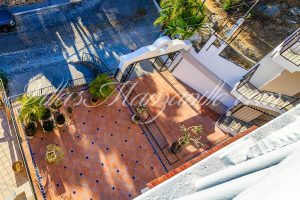 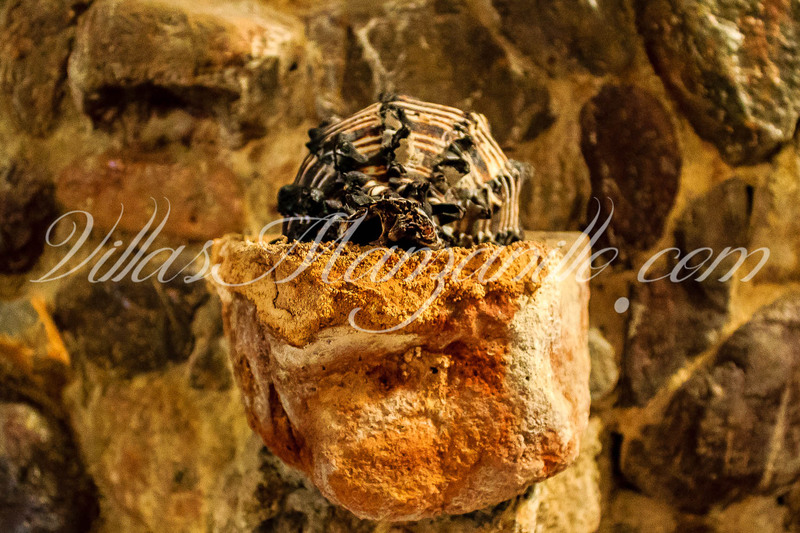 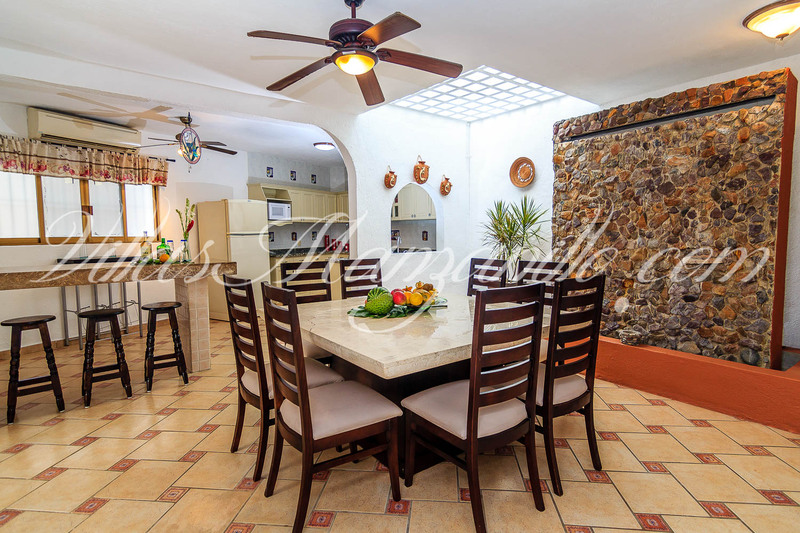 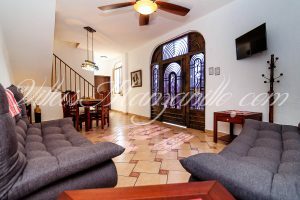 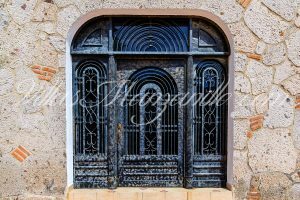 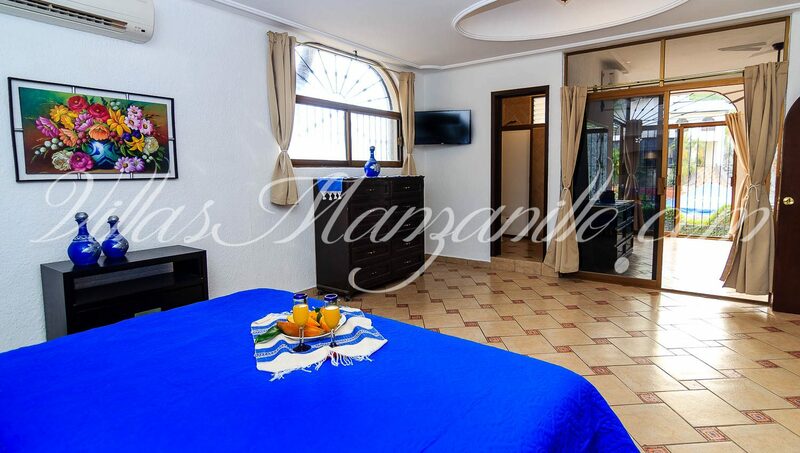 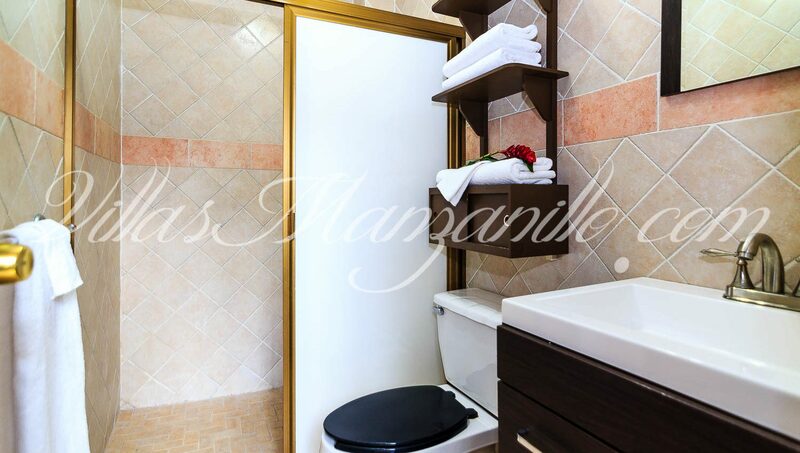 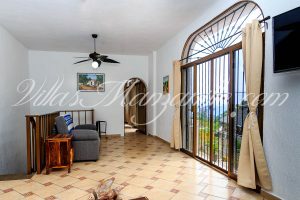 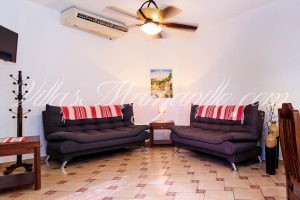 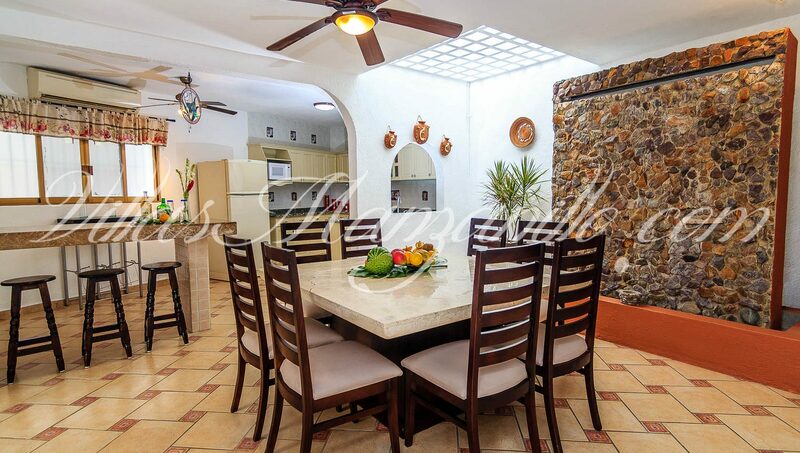 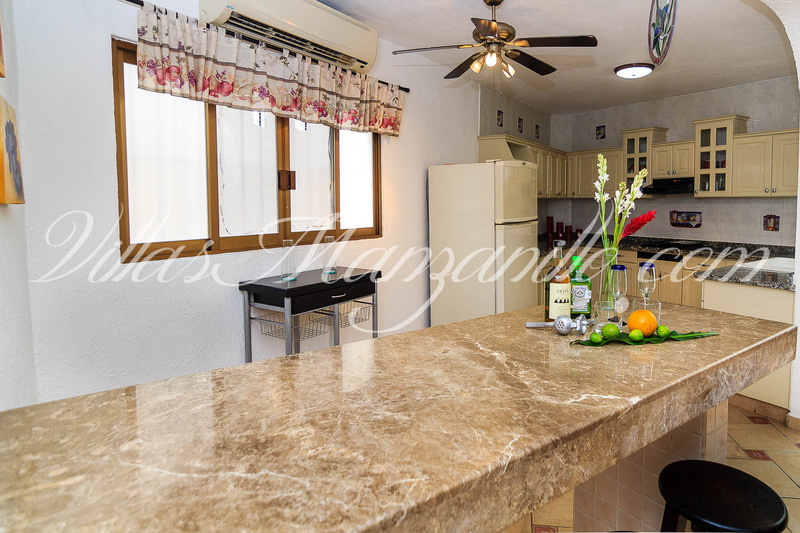 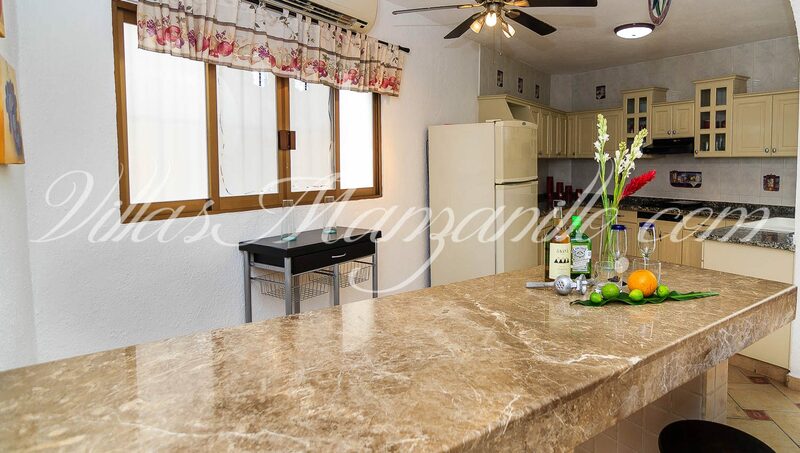 Hermosa Villa con Super Alberca Privada y Asador. Aire acondicionado en toda la Villa. 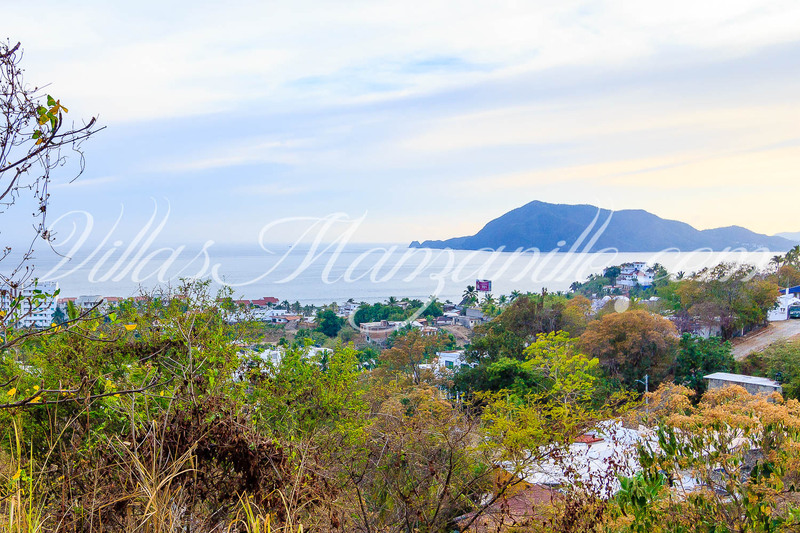 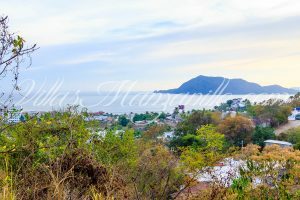 Vista al Mar. 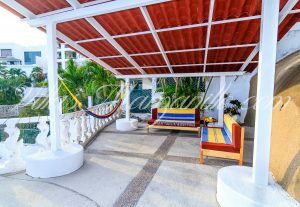 A tan solo 4 min de Playa de Santiago. 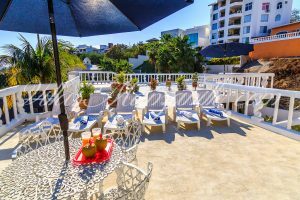 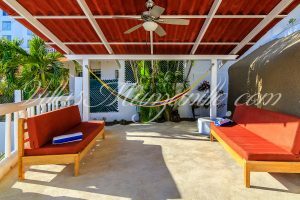 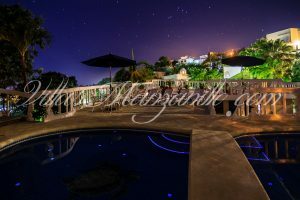 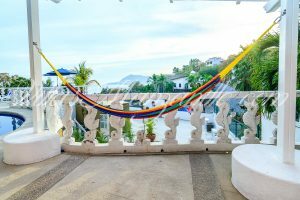 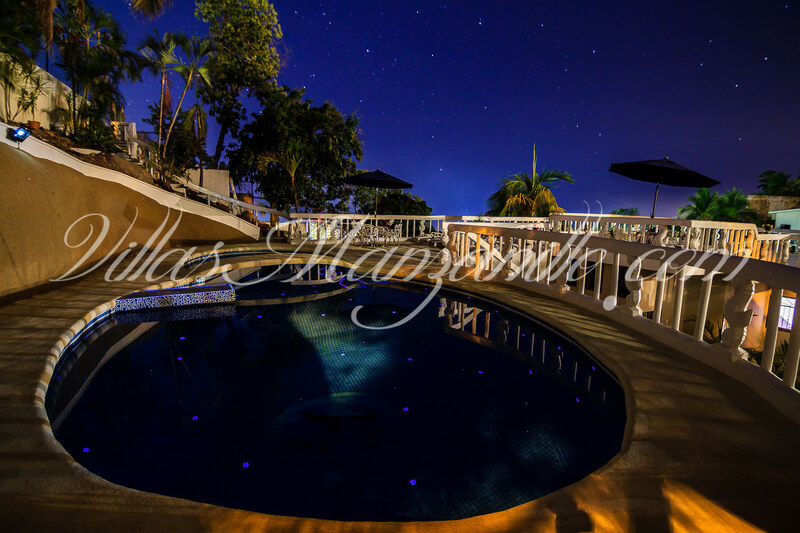 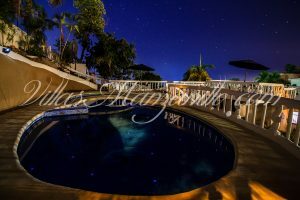 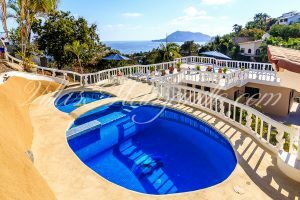 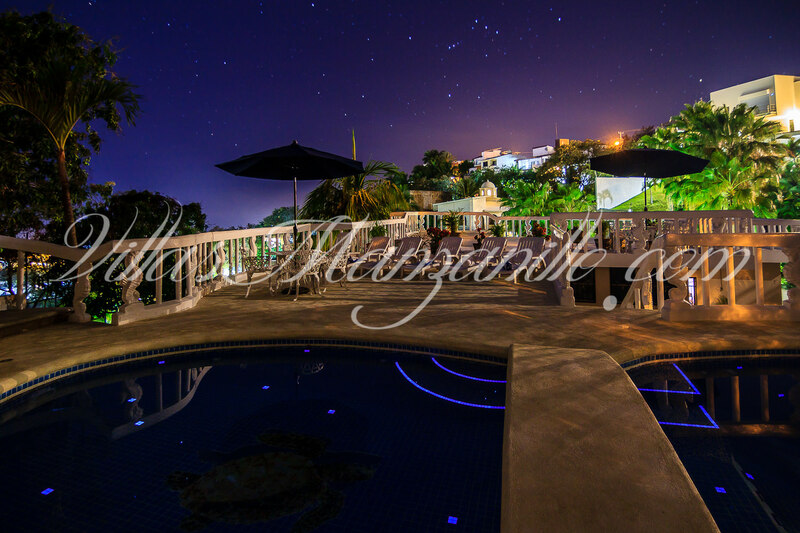 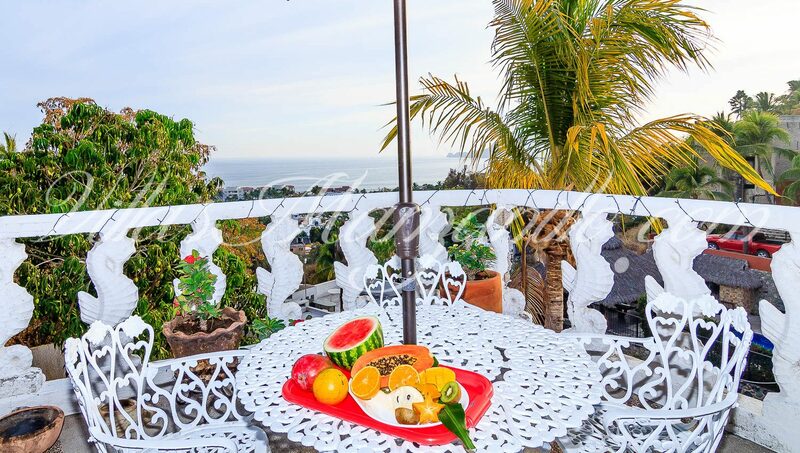 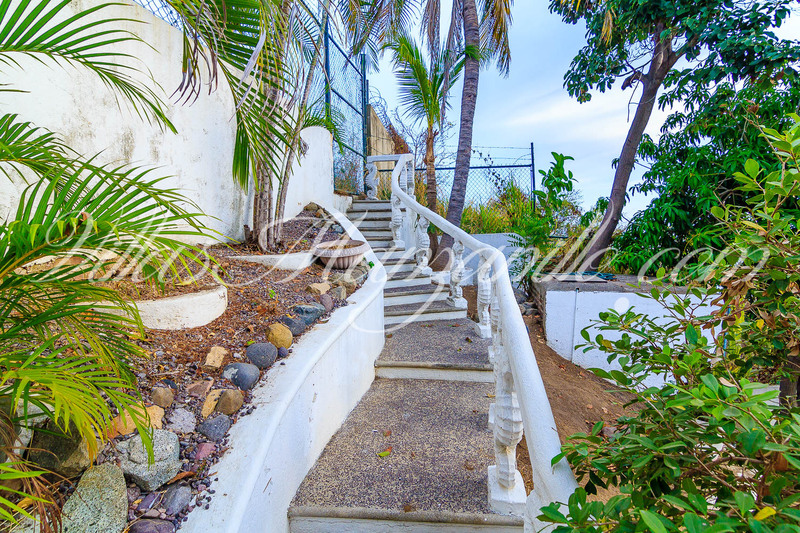 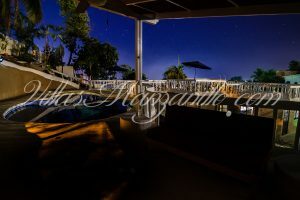 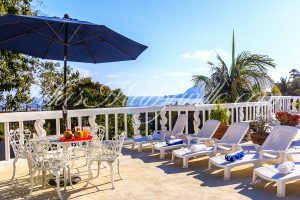 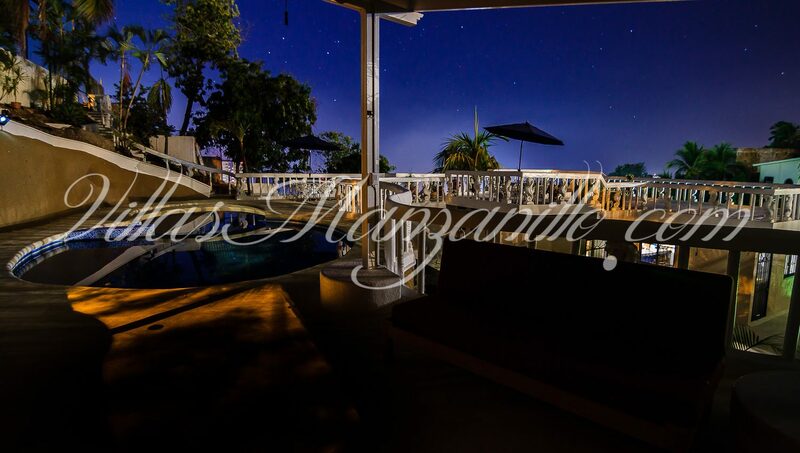 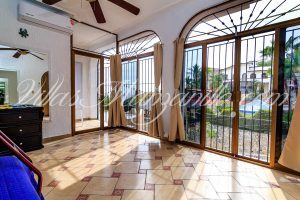 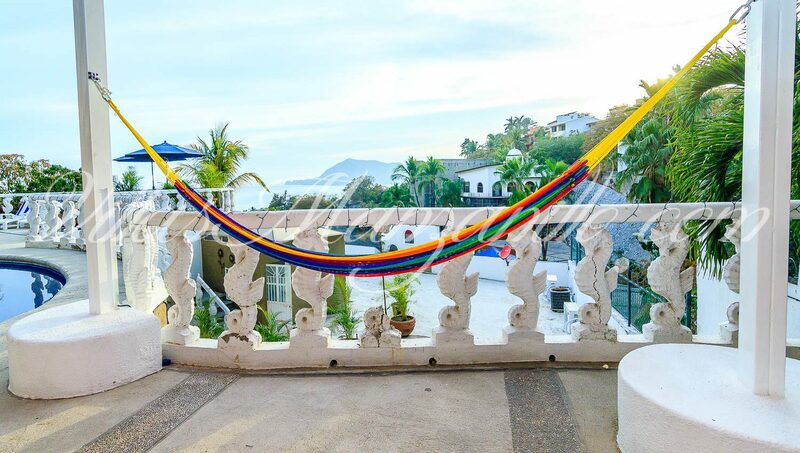 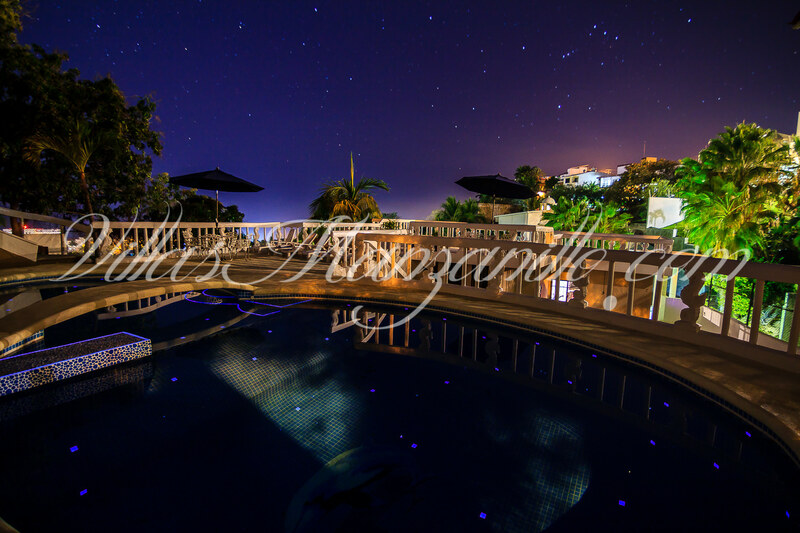 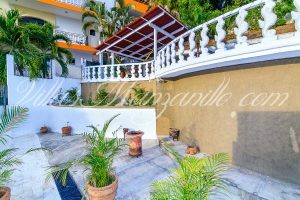 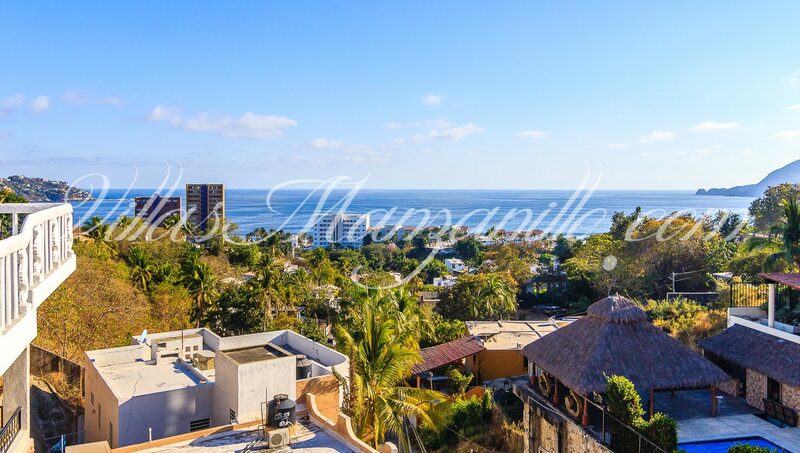 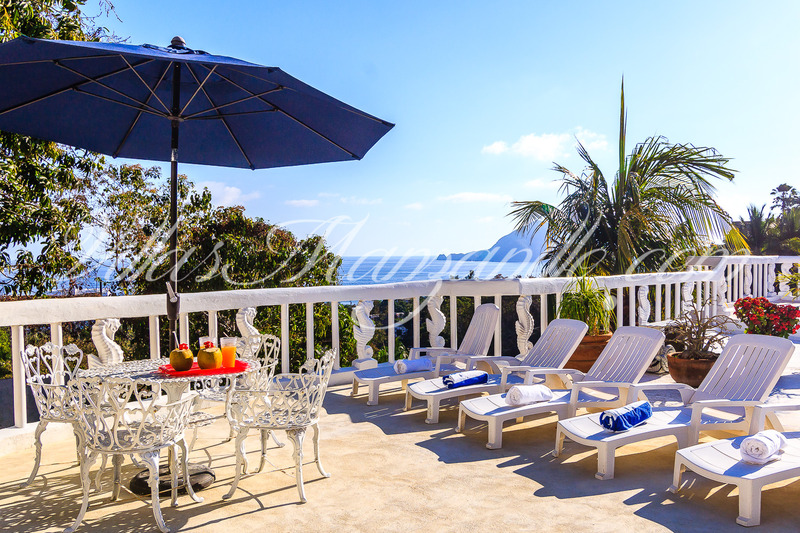 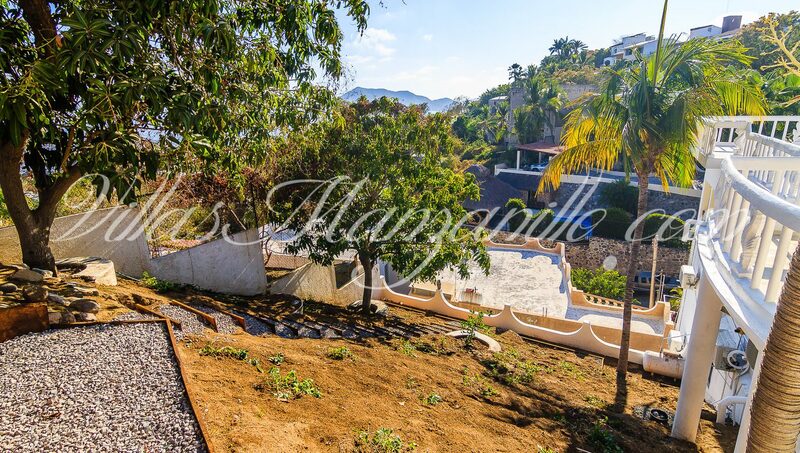 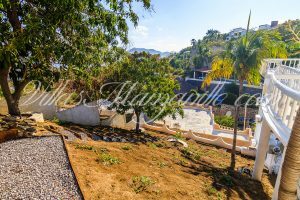 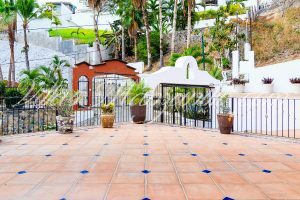 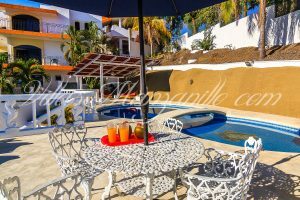 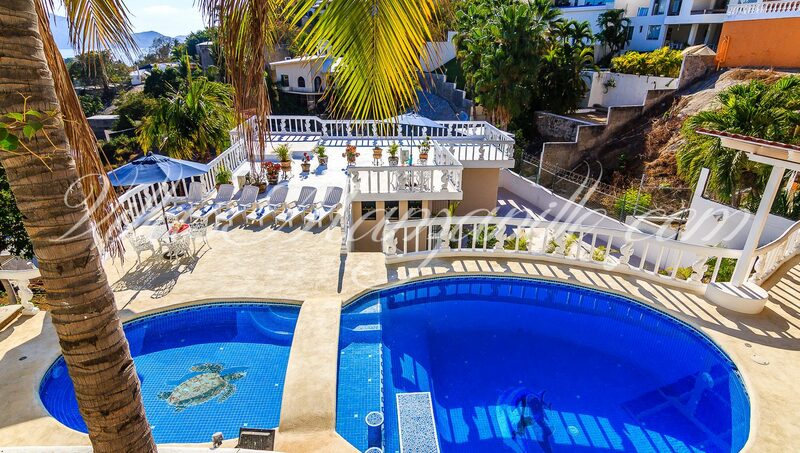 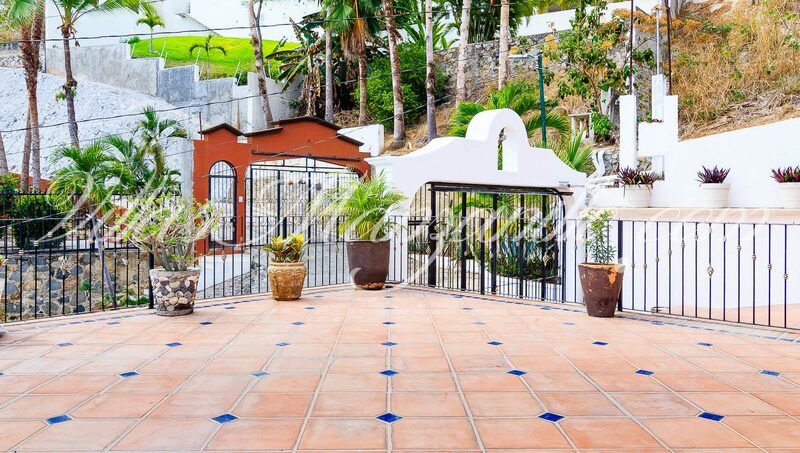 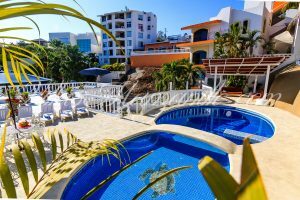 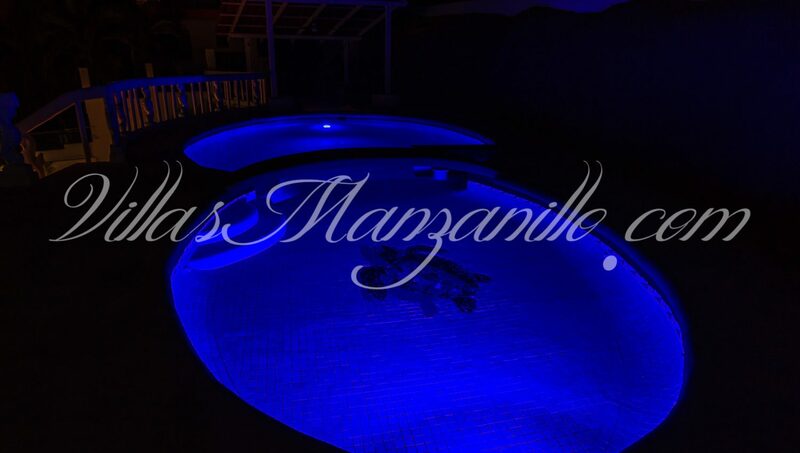 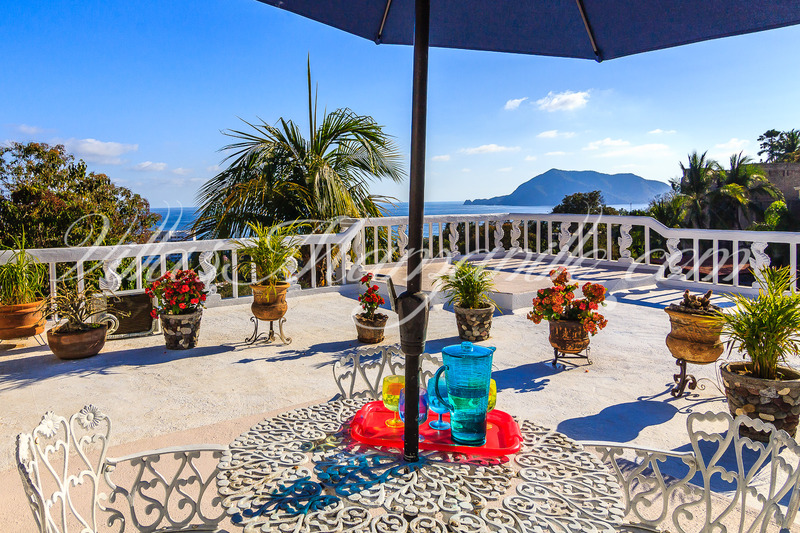 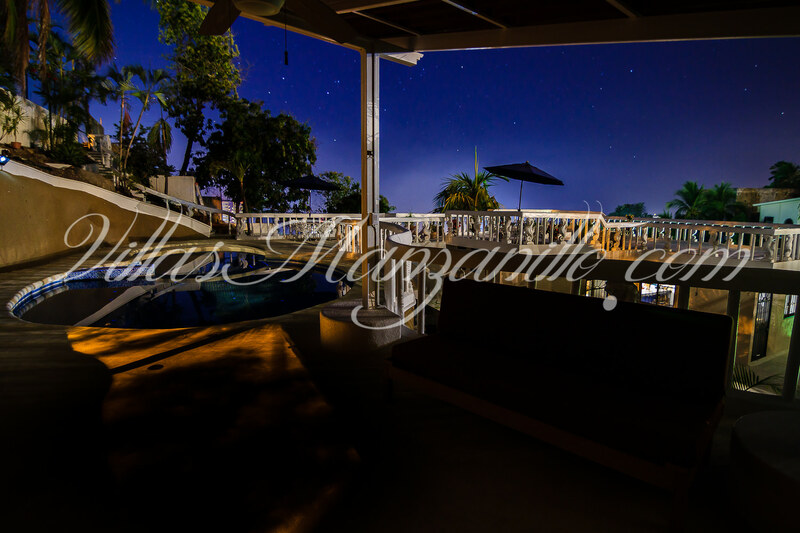 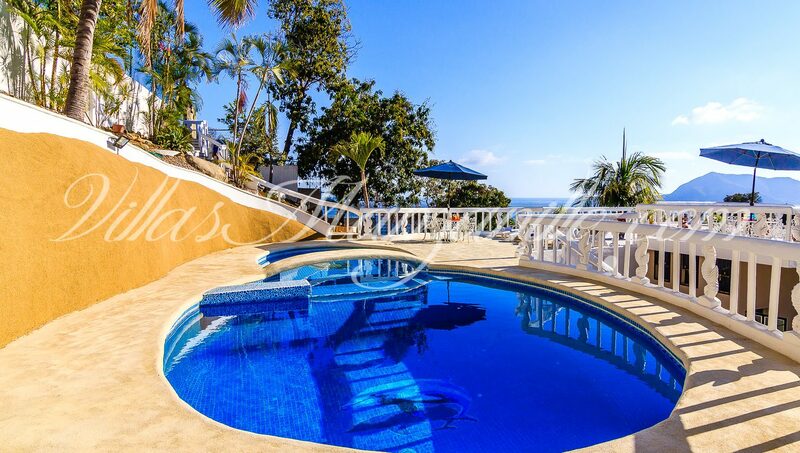 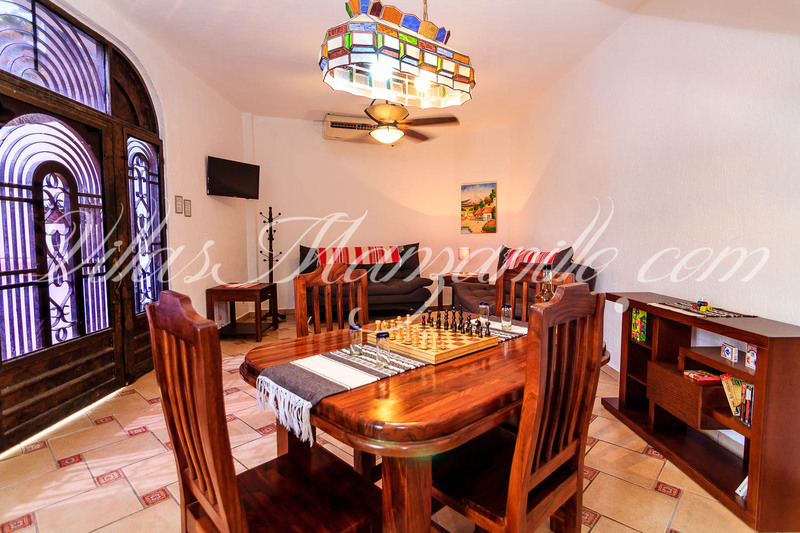 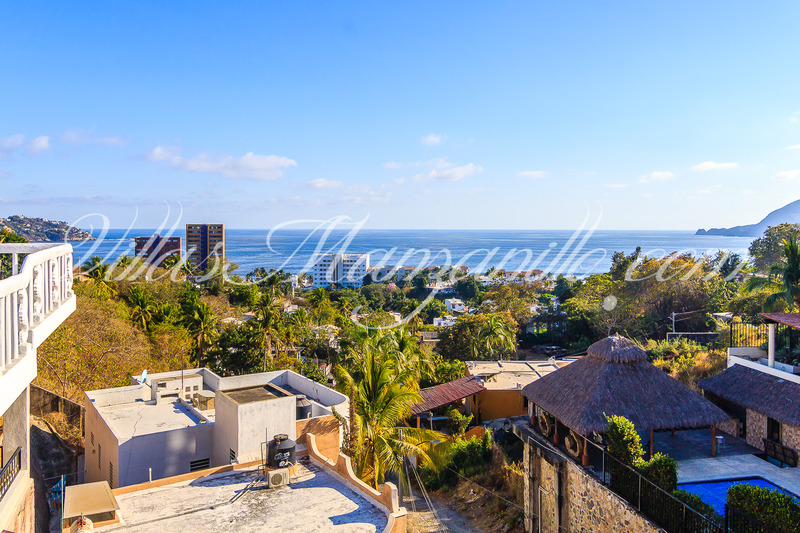 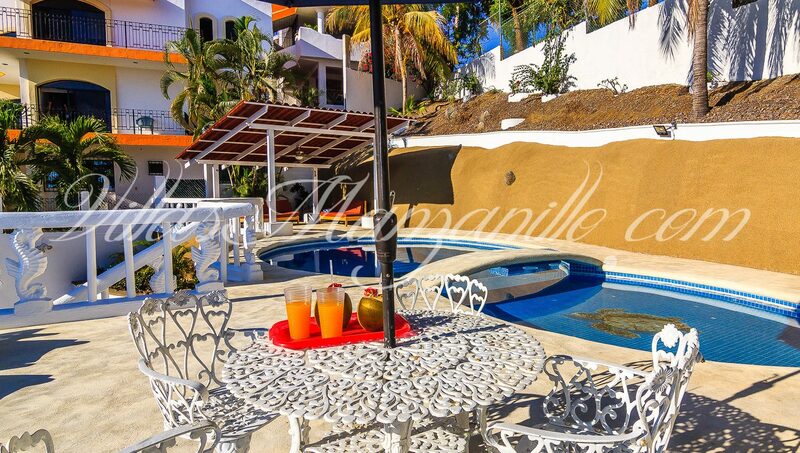 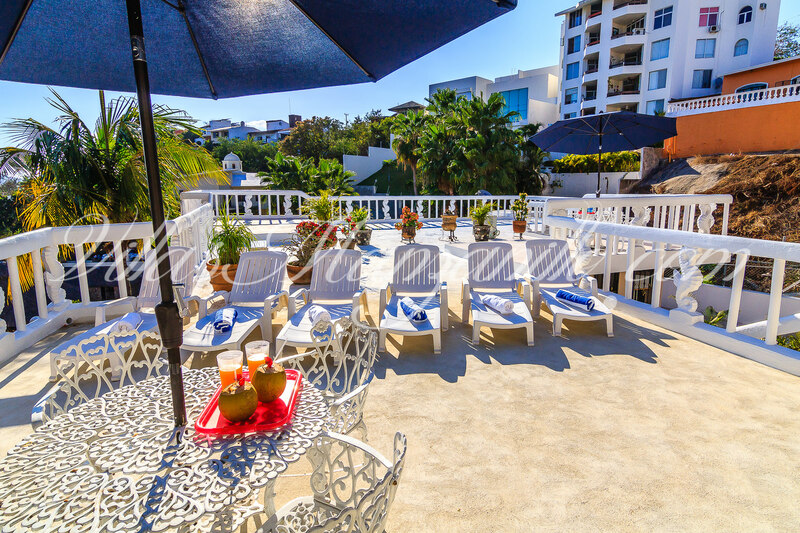 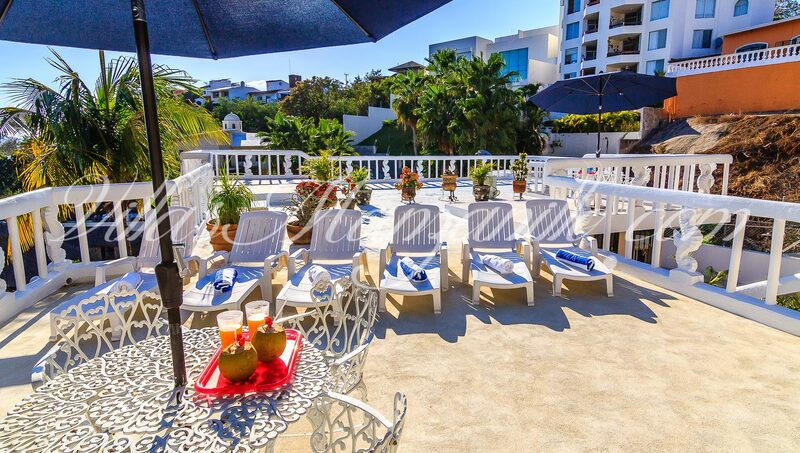 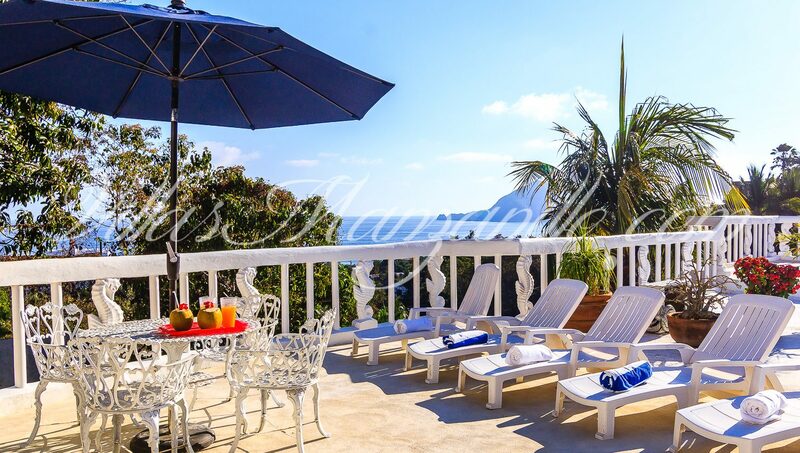 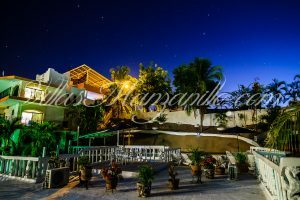 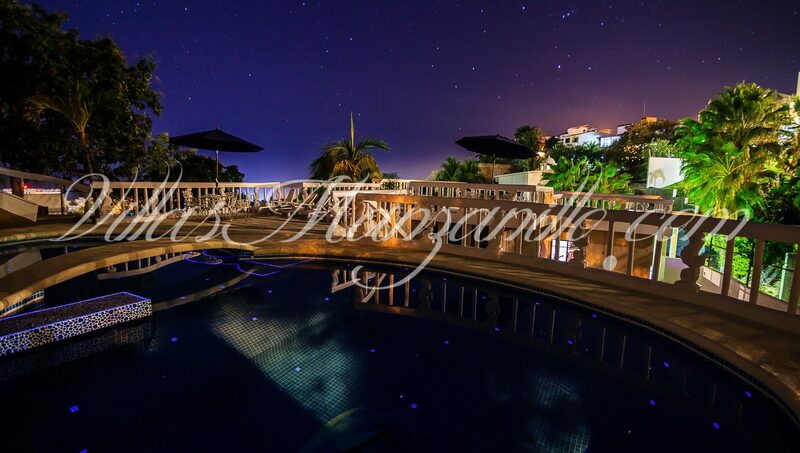 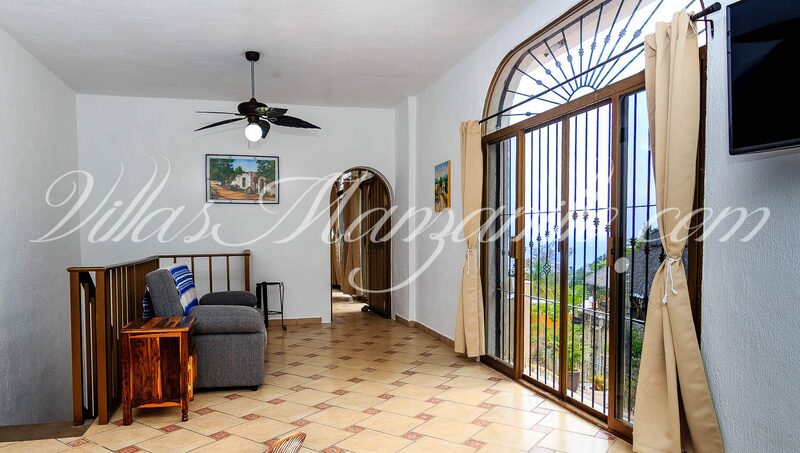 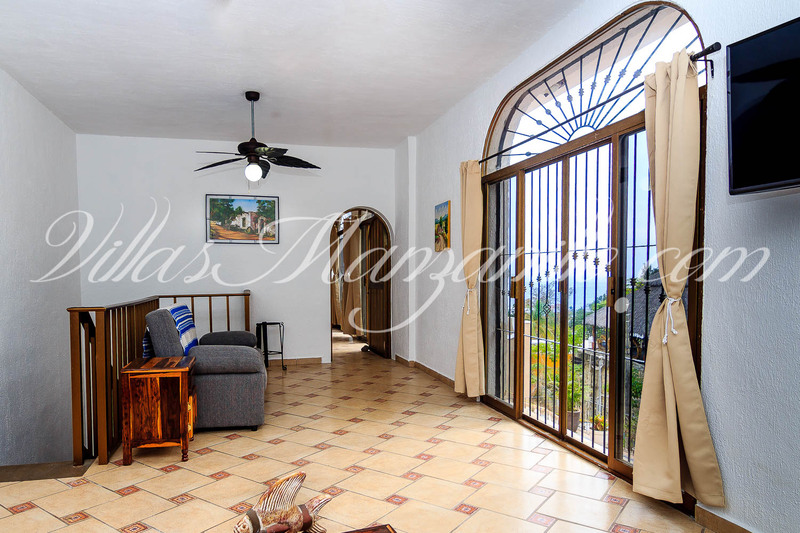 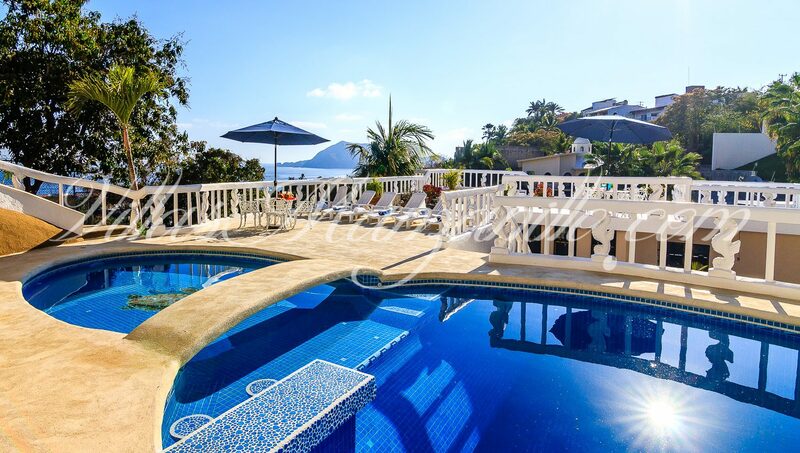 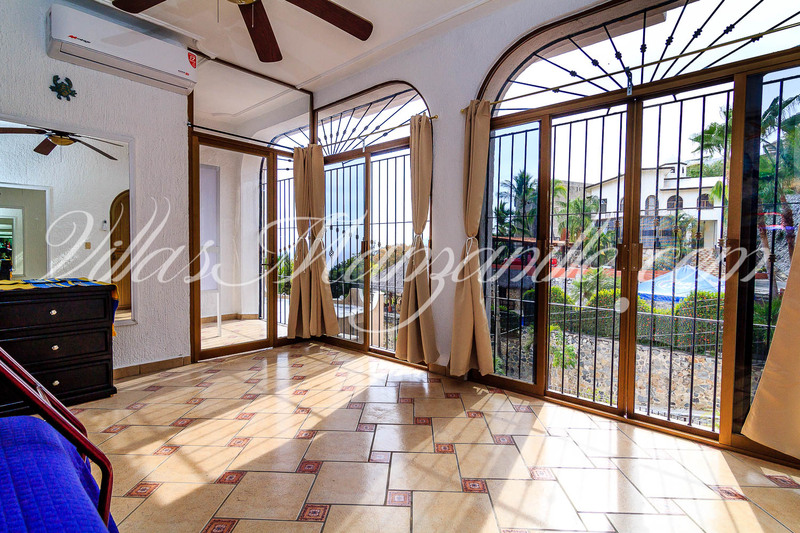 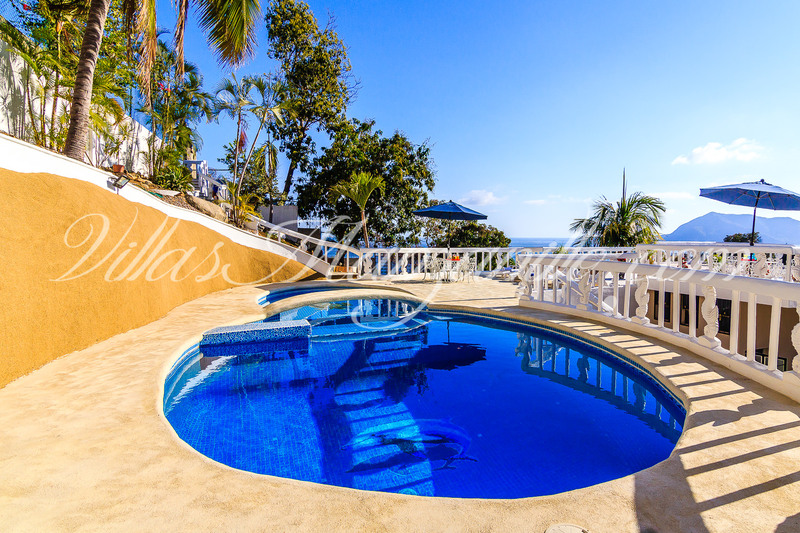 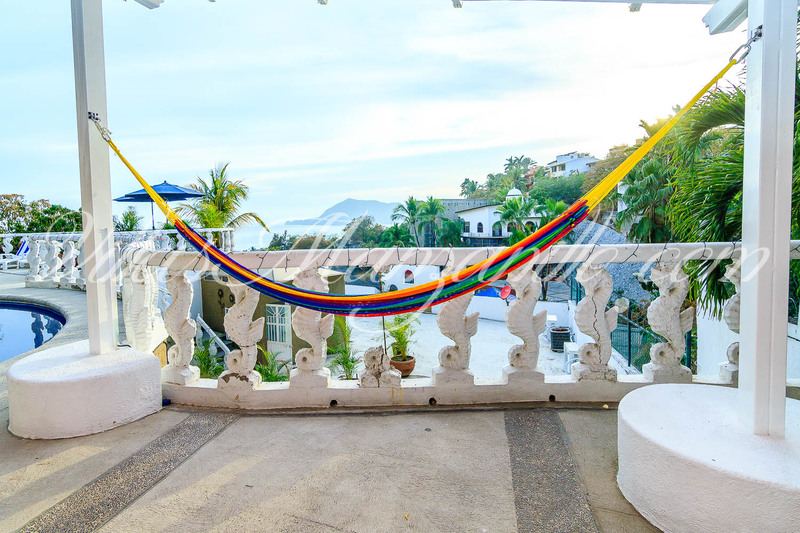 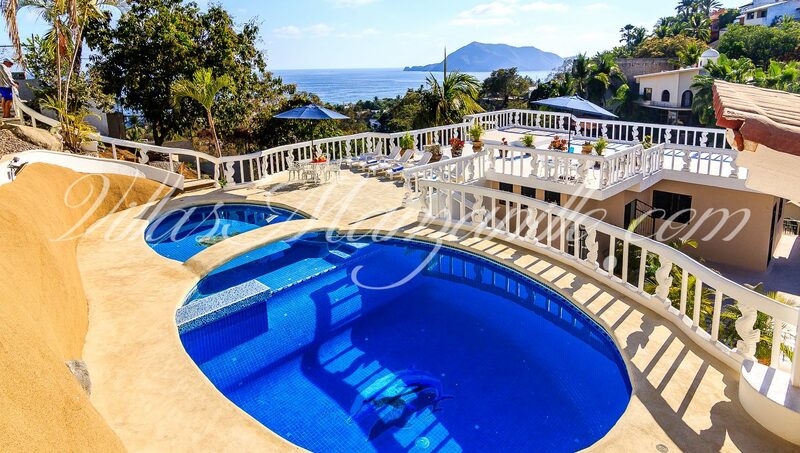 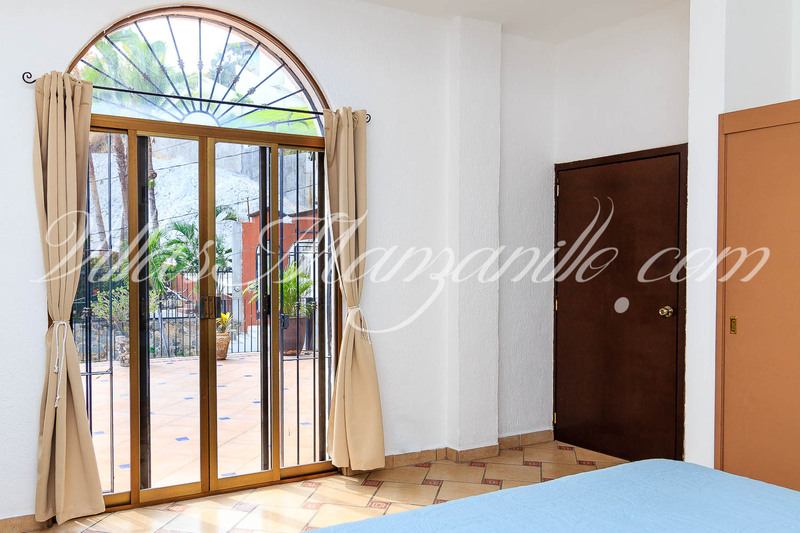 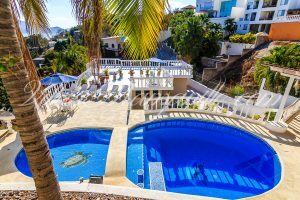 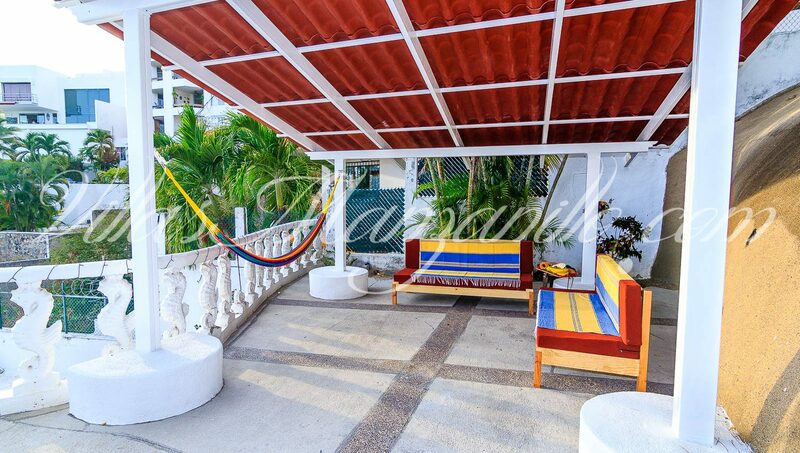 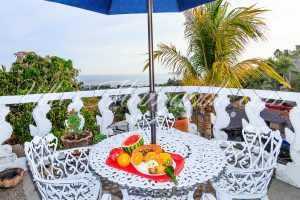 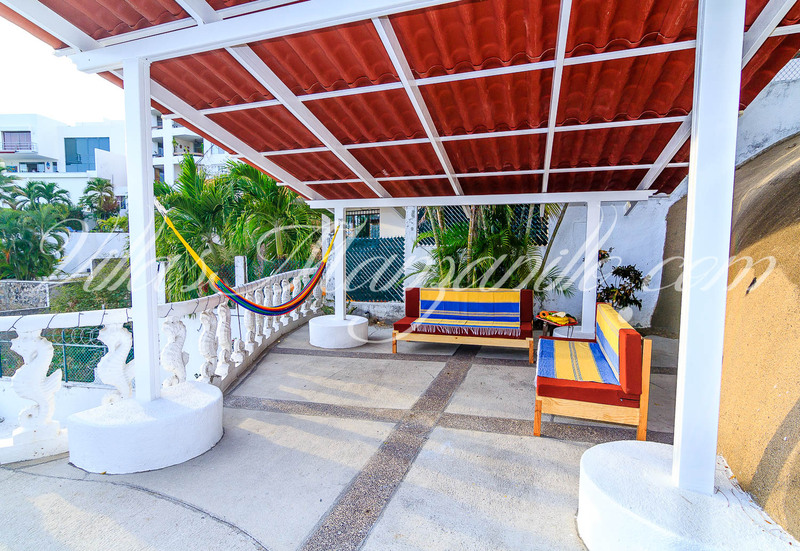 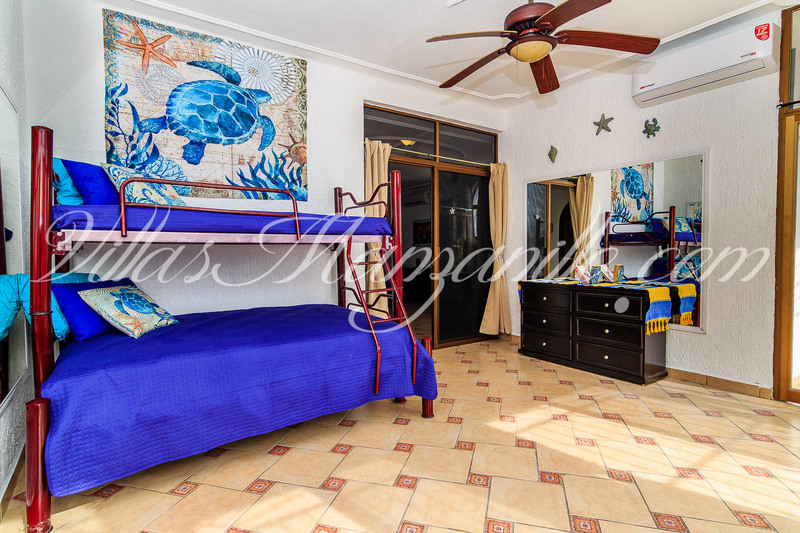 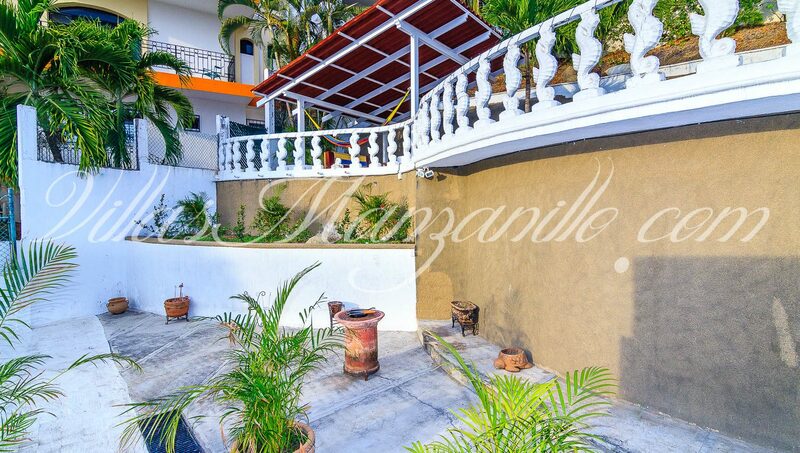 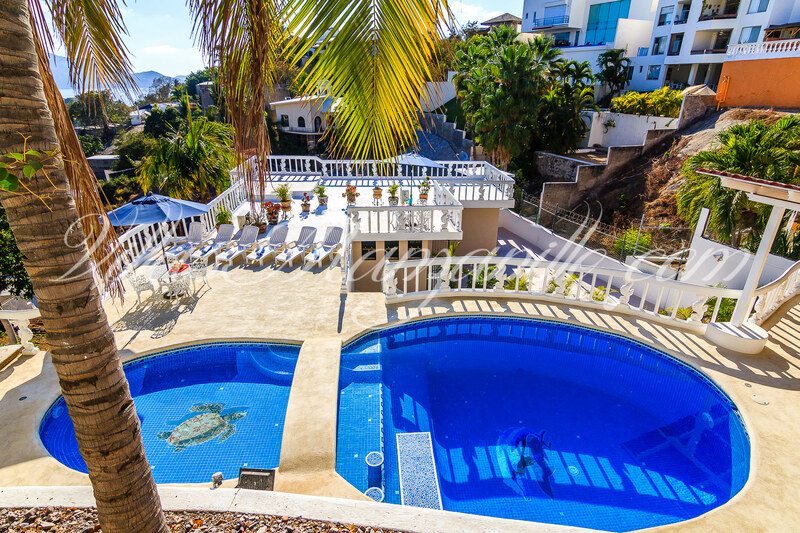 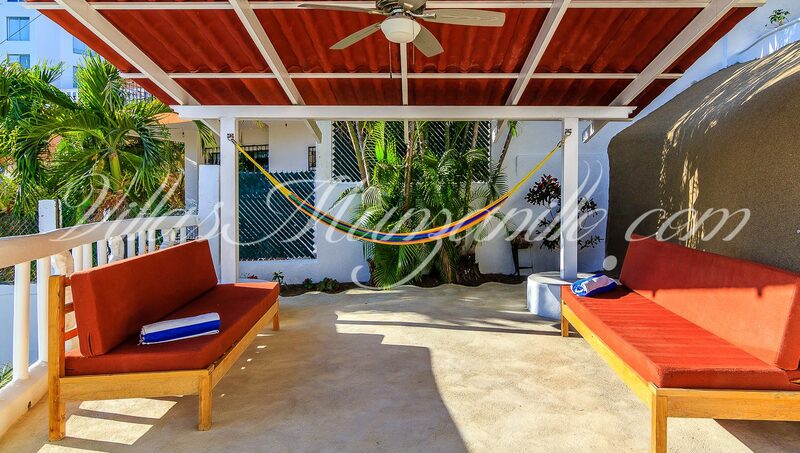 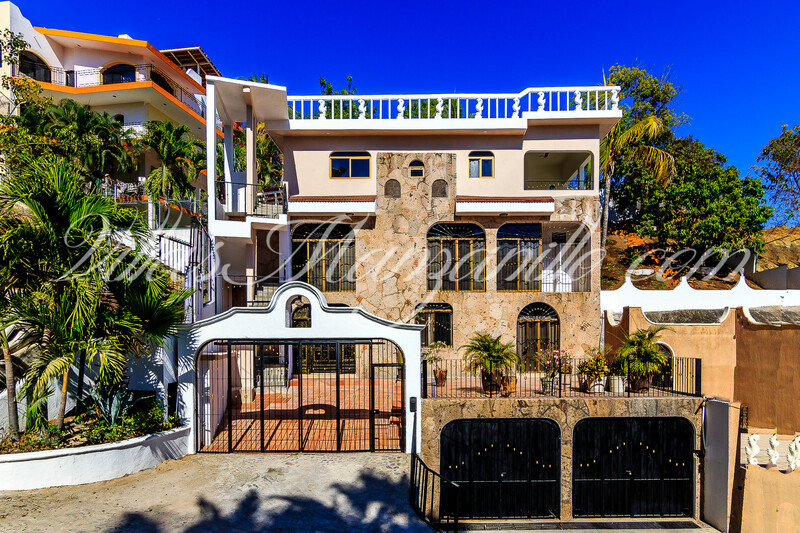 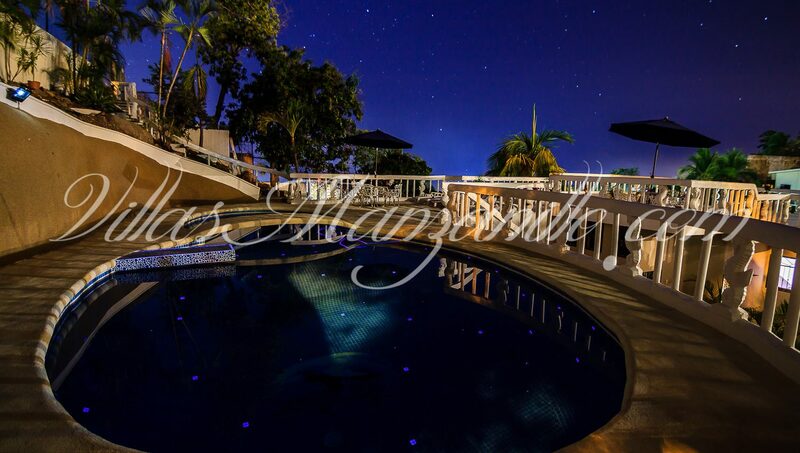 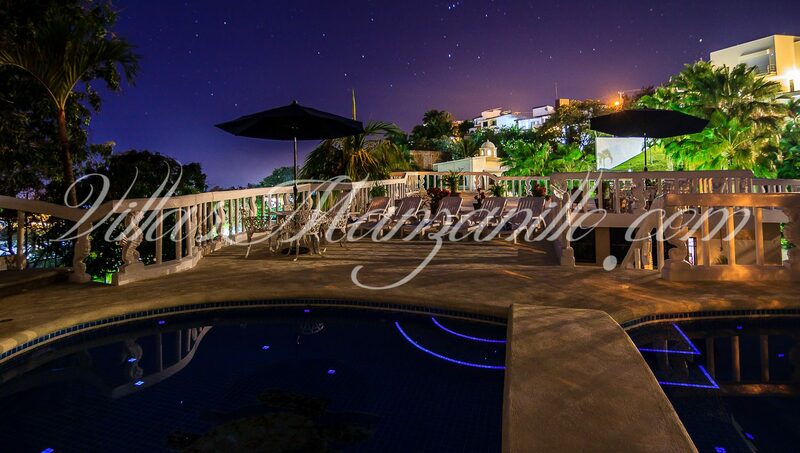 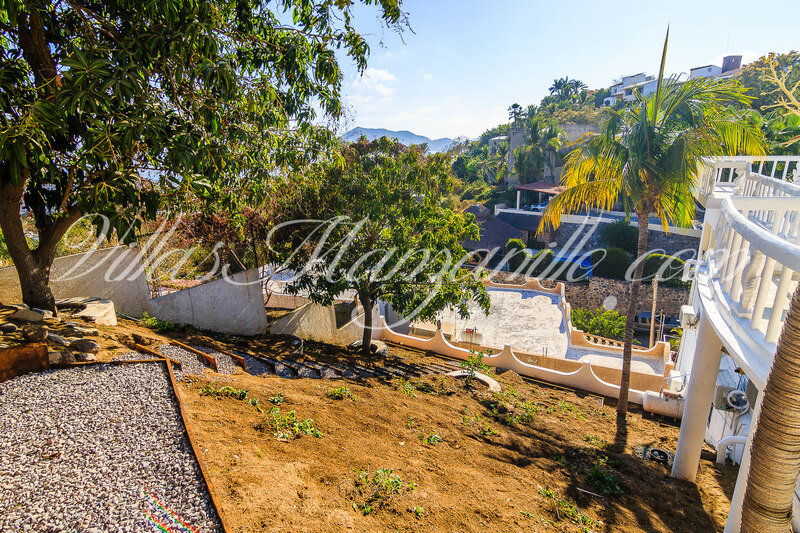 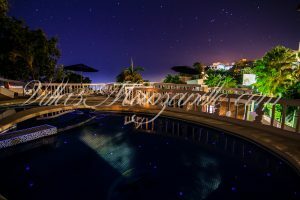 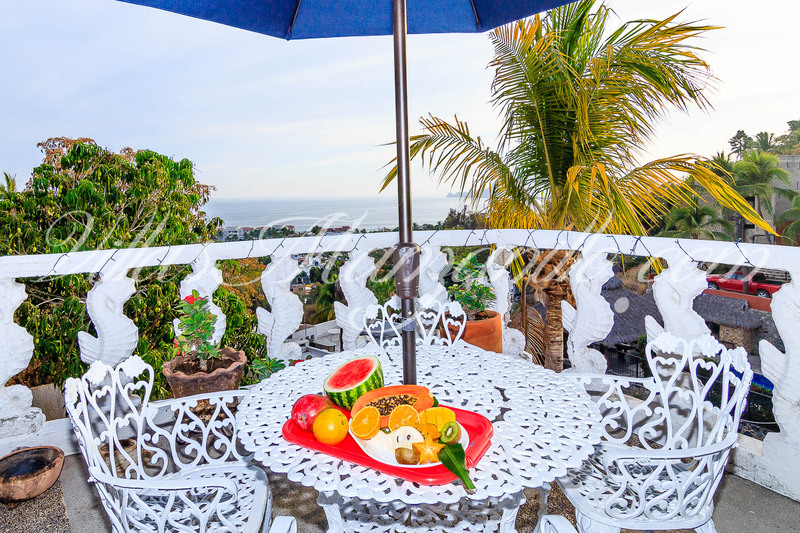 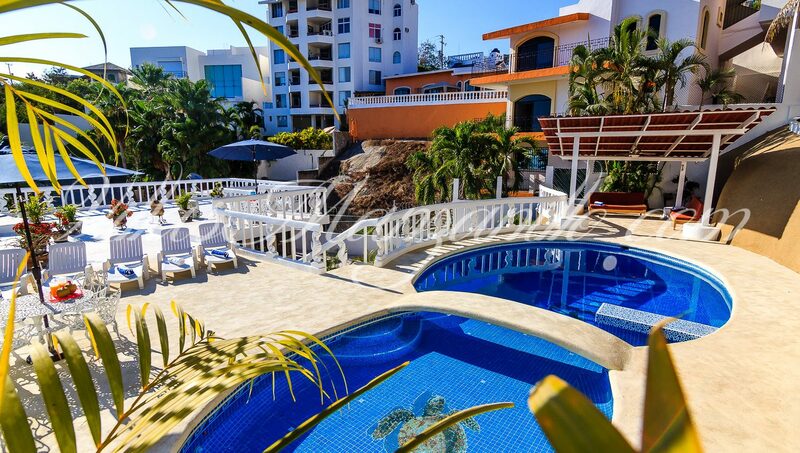 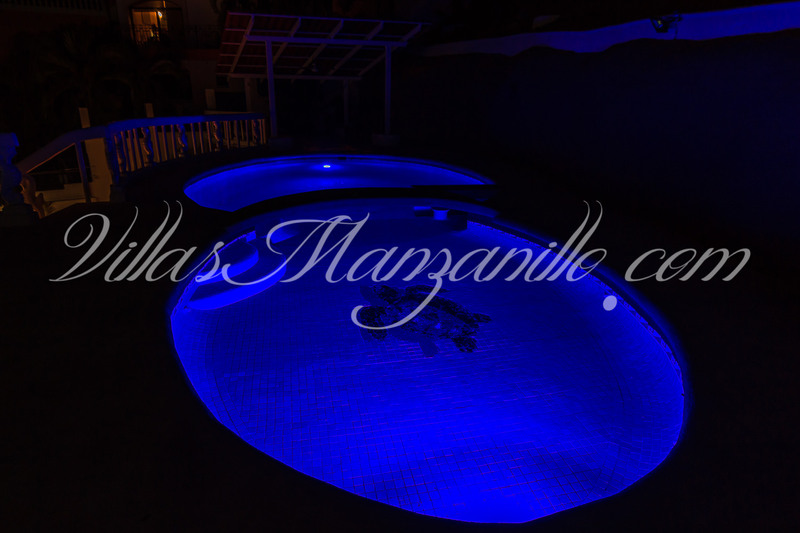 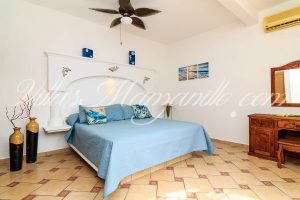 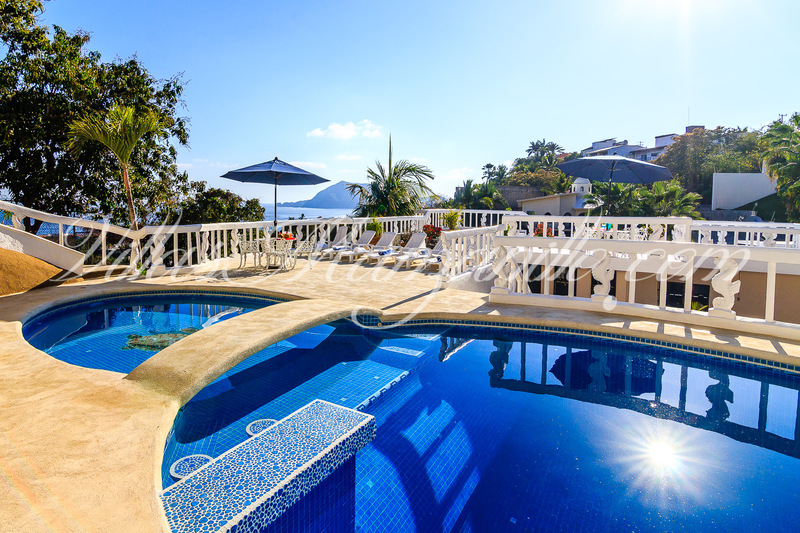 Fantastic private Villa with an amazing Large Private Pool (2.5 meter, 8 foot deep aprox with a shallow side for kids) with a super nice view of the Santiago bay, lounges and a hammock to relax all day. 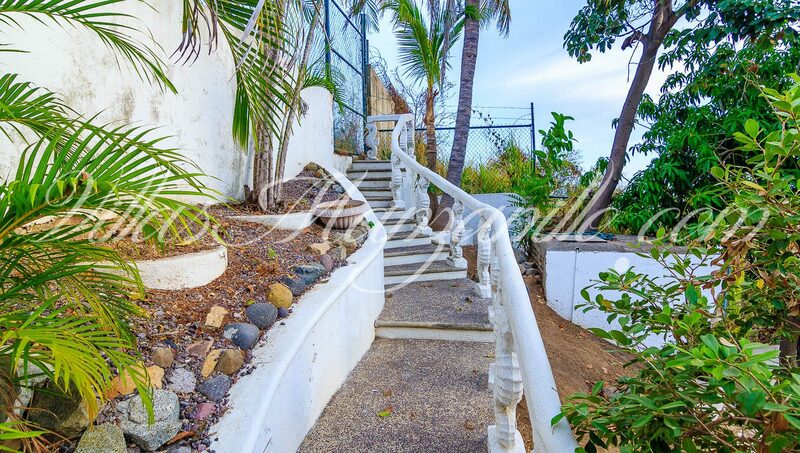 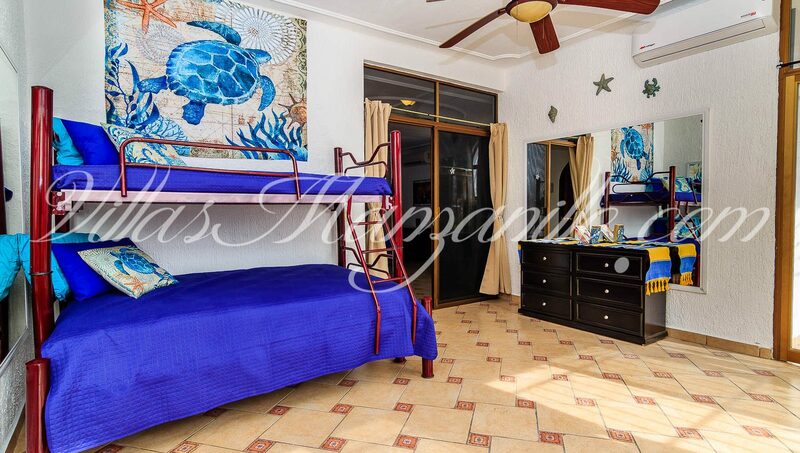 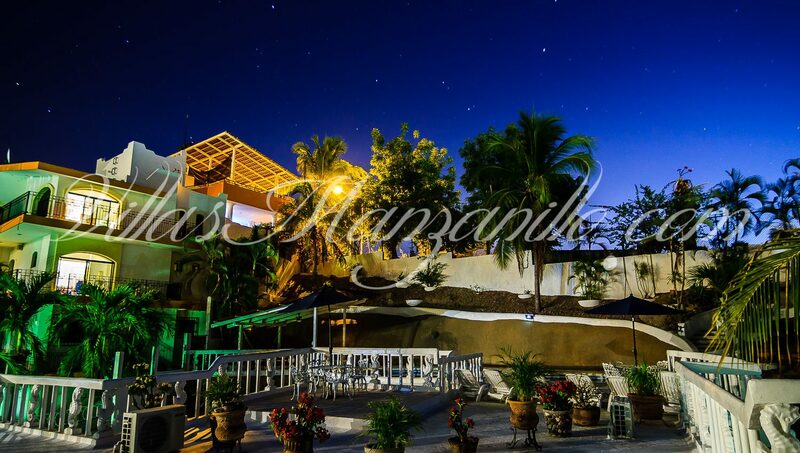 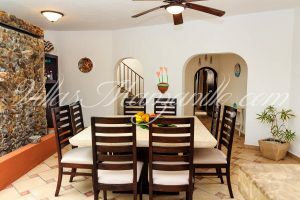 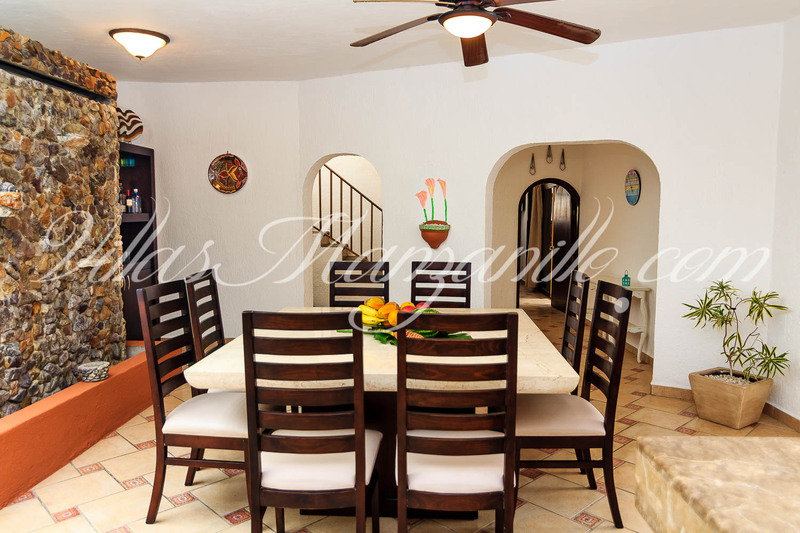 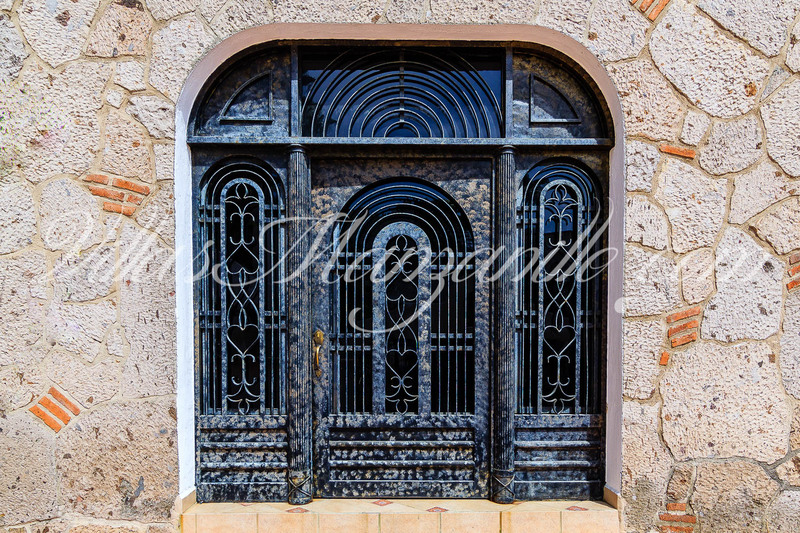 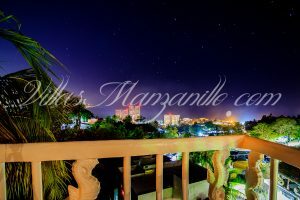 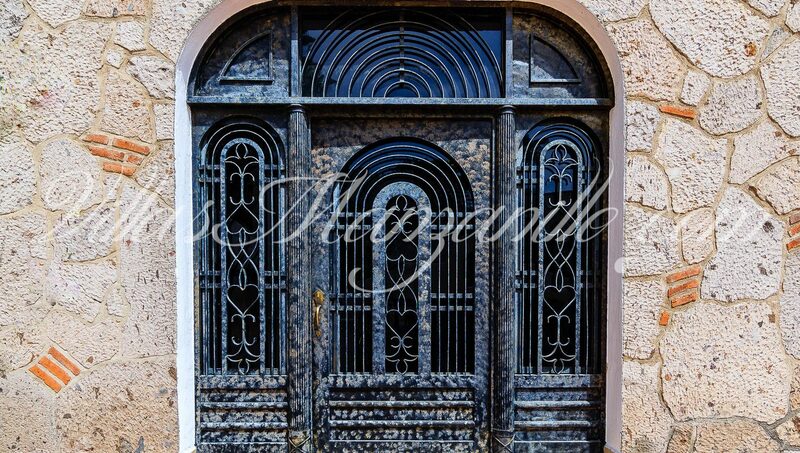 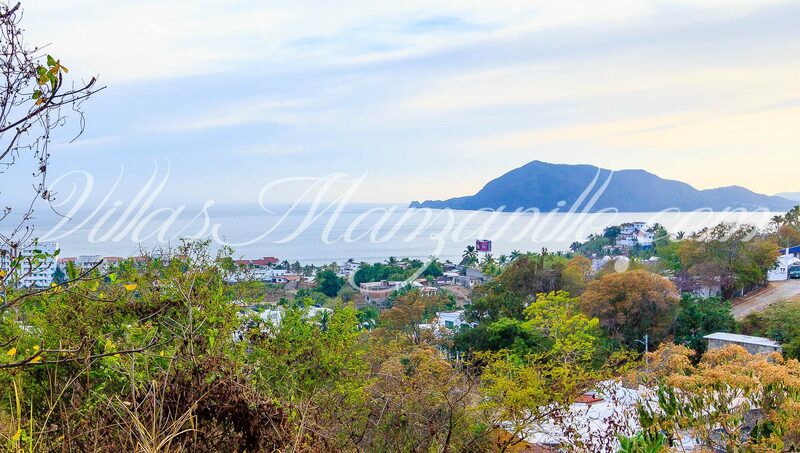 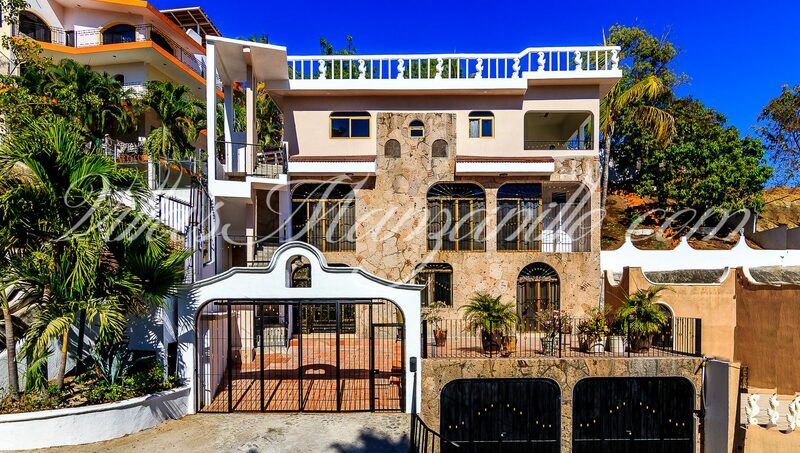 Only 4min drive to Santiago Beach, super nice swimmable sandy beach, 1 gated open air parking spot. 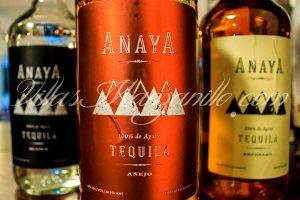 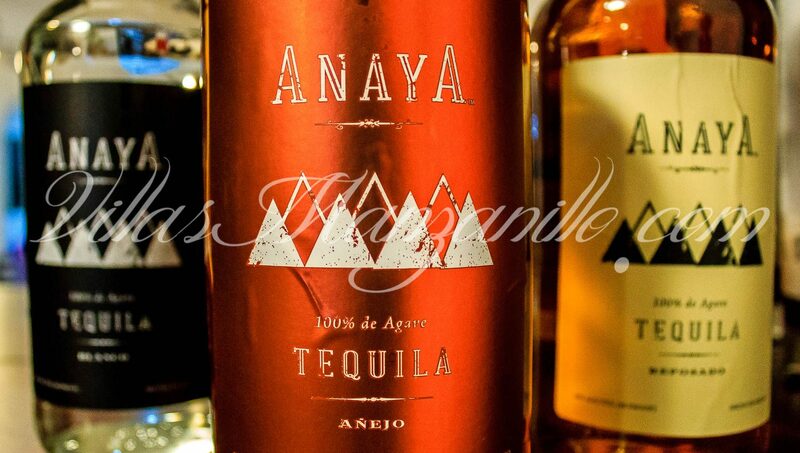 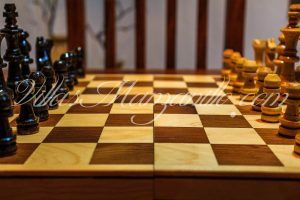 English/Spanish spoken. 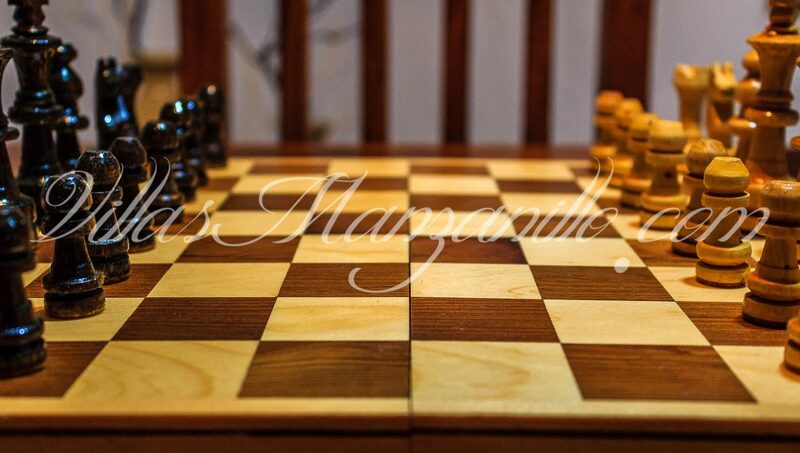 IMMEDIATE RESPONSE TO YOUR QUESTIONS. 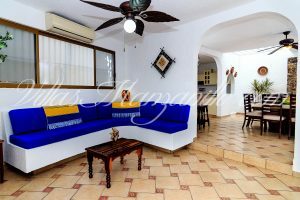 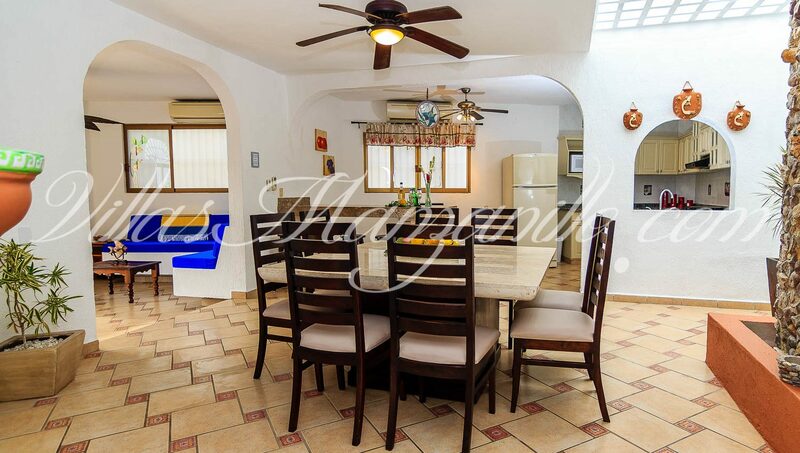 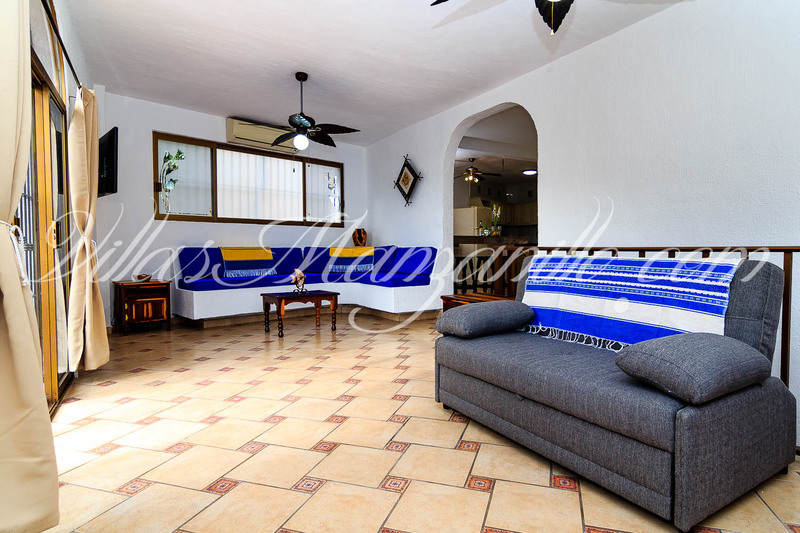 Air Conditioner on the entire villa: entrance game room, living room, dining room, kitchen and all 3 bedrooms. 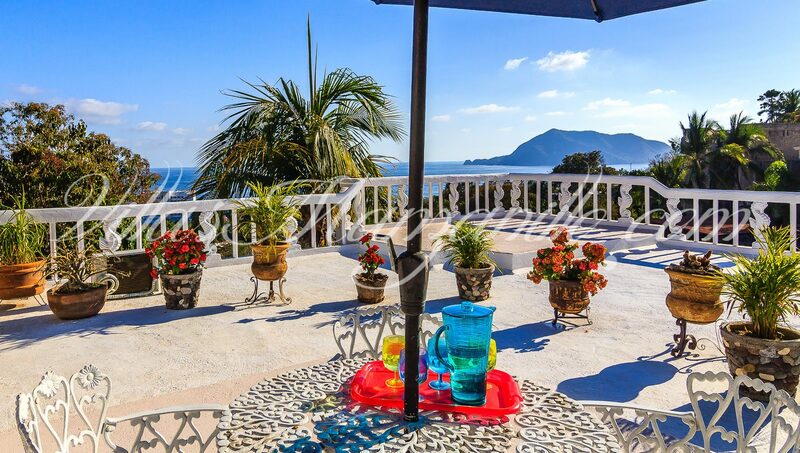 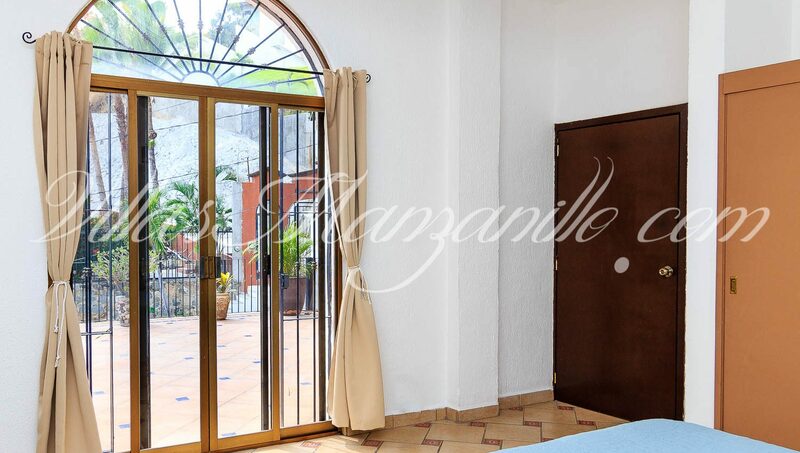 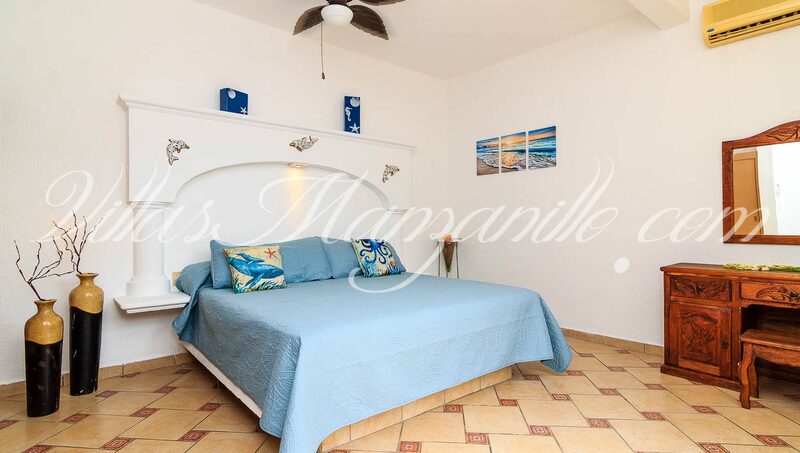 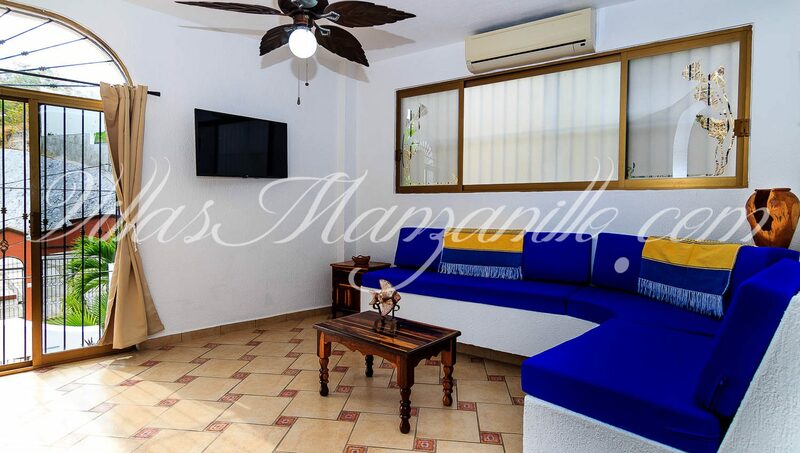 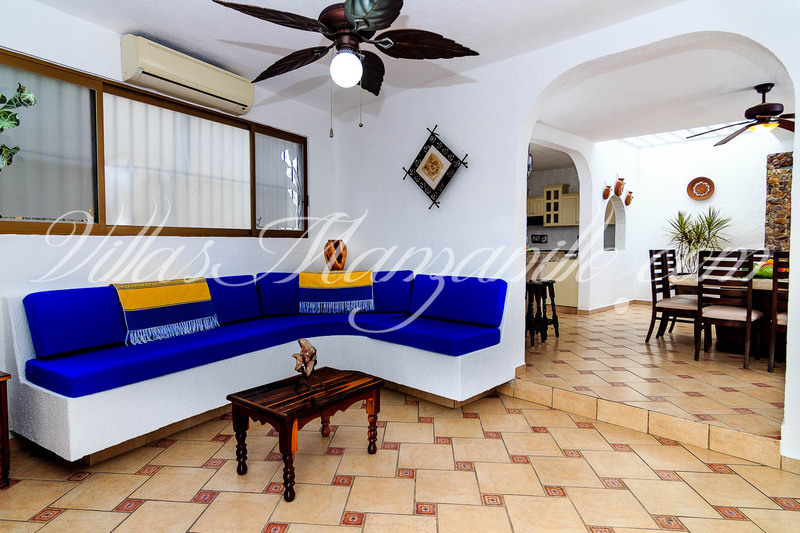 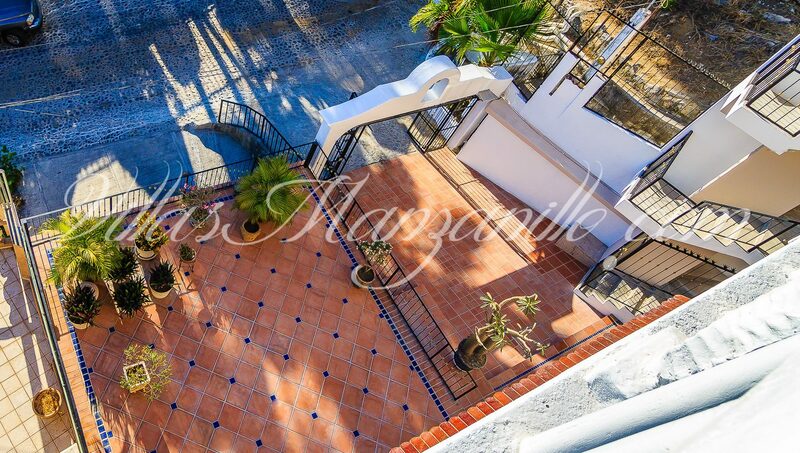 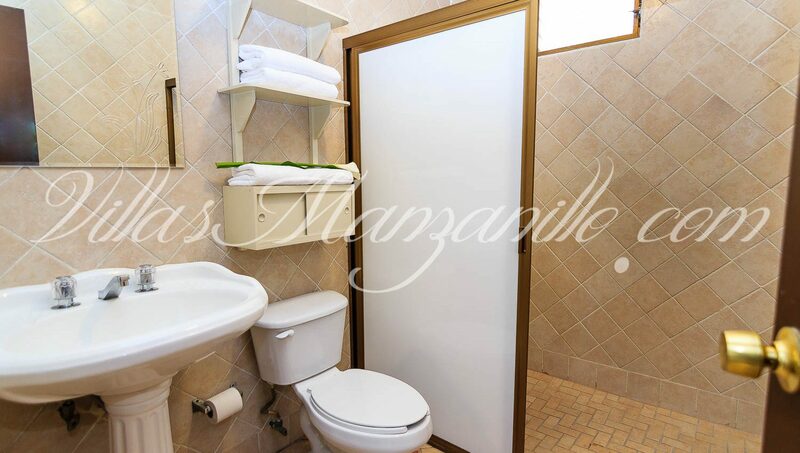 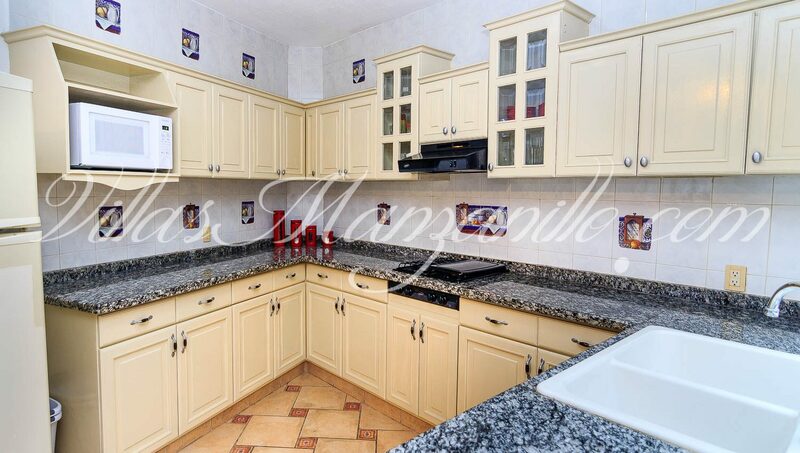 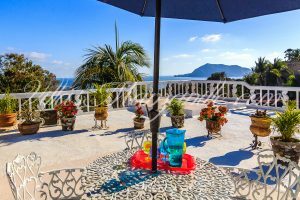 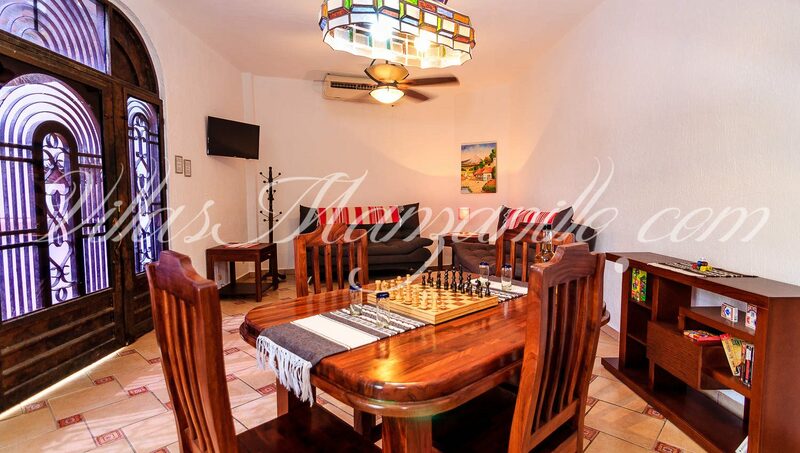 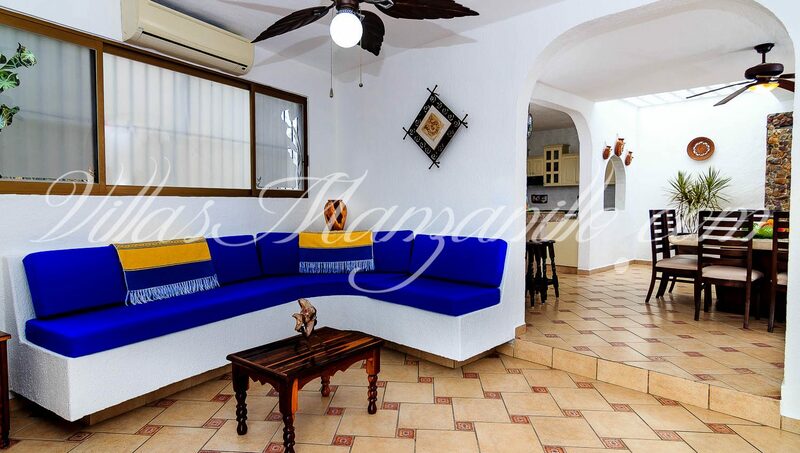 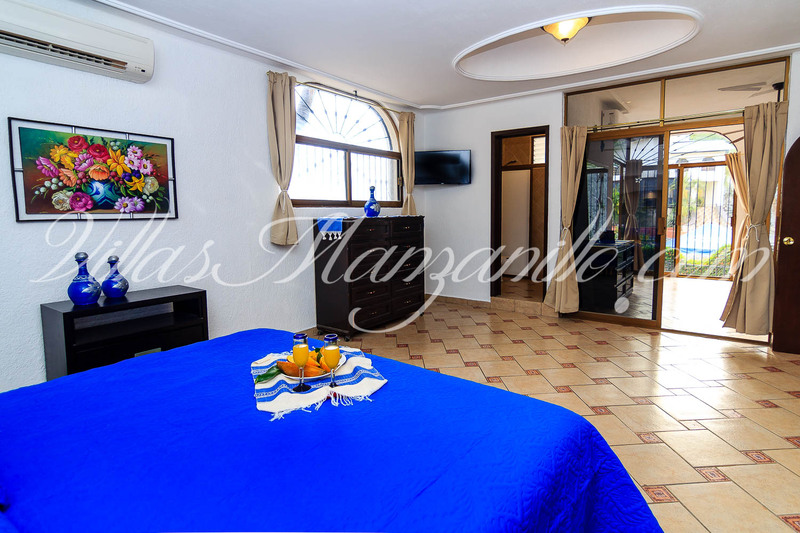 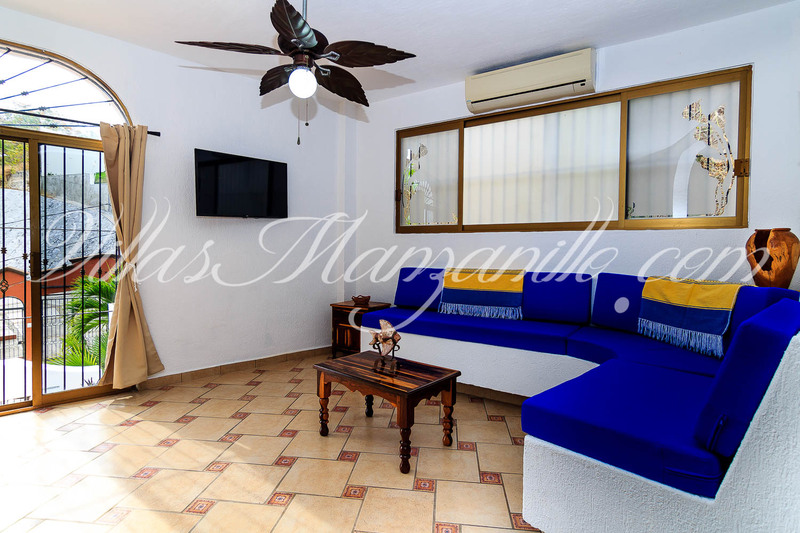 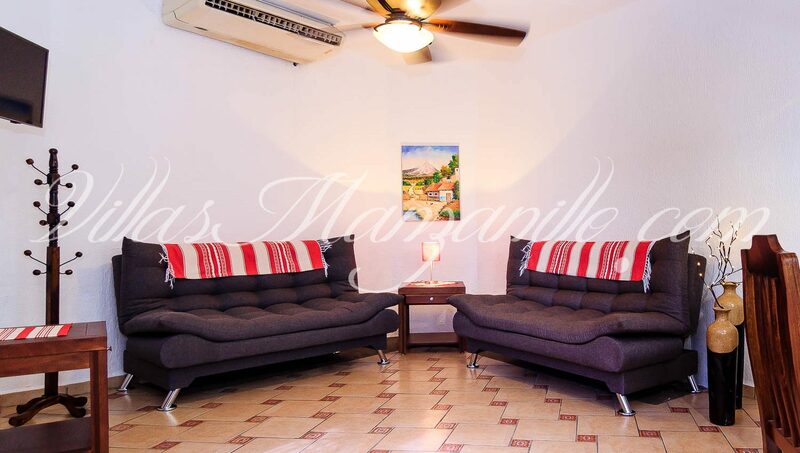 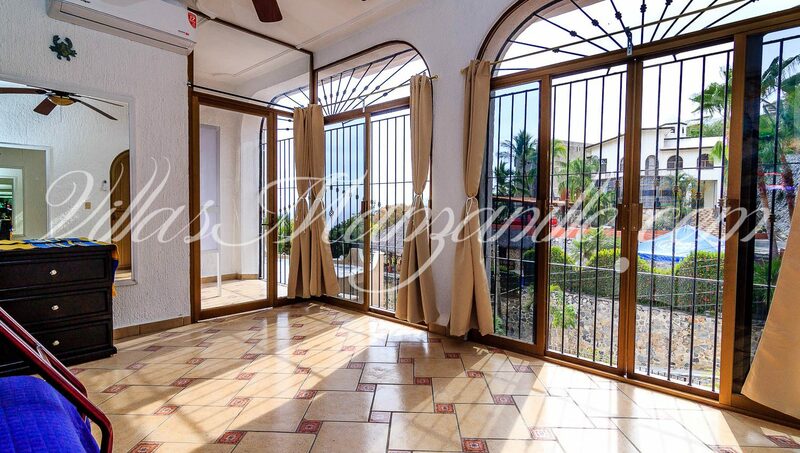 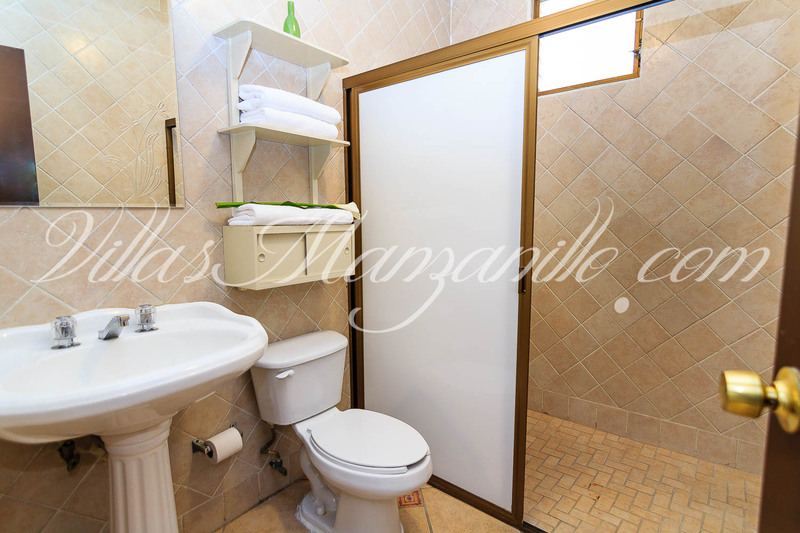 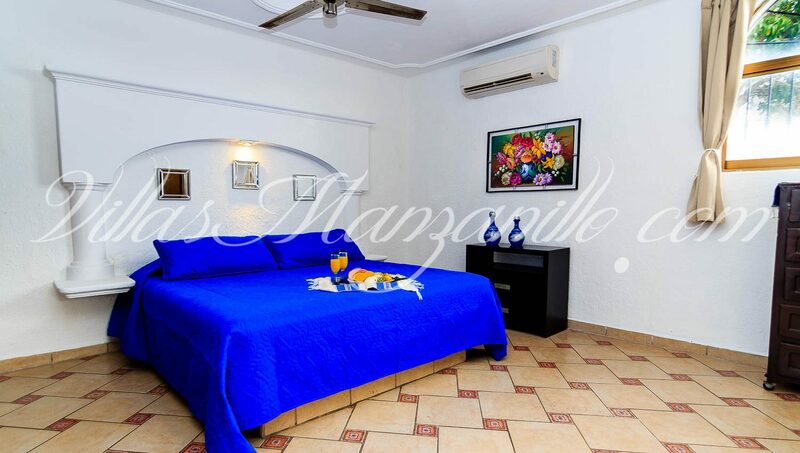 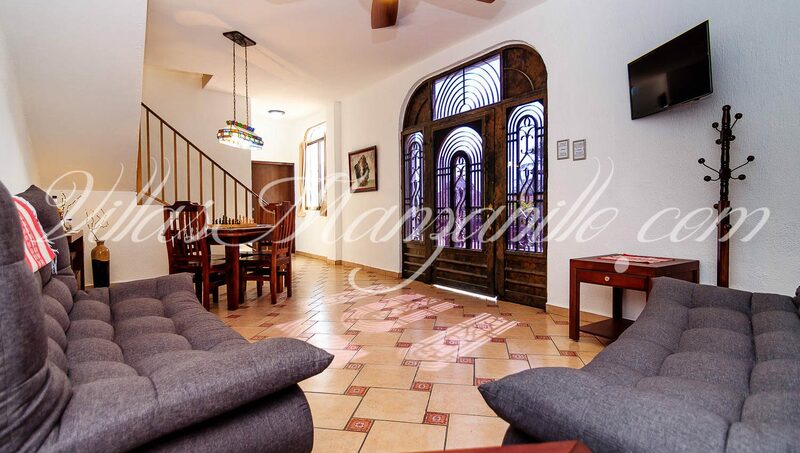 This lovely villa is in a quiet residential area, perfect for a family get-away! 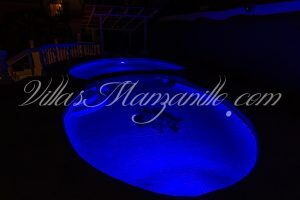 Newly renovated and tiled pool with “Cool Deck” surrounding pool patio area! 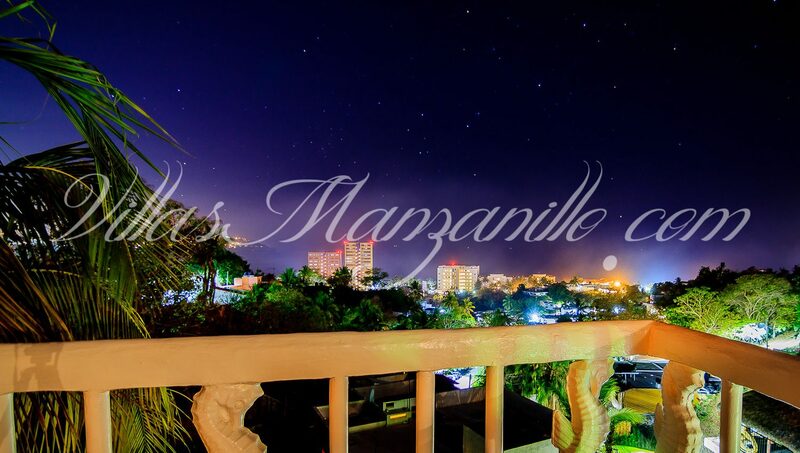 No loud parties or loud music after 11 p.m. please, it is a residential area.